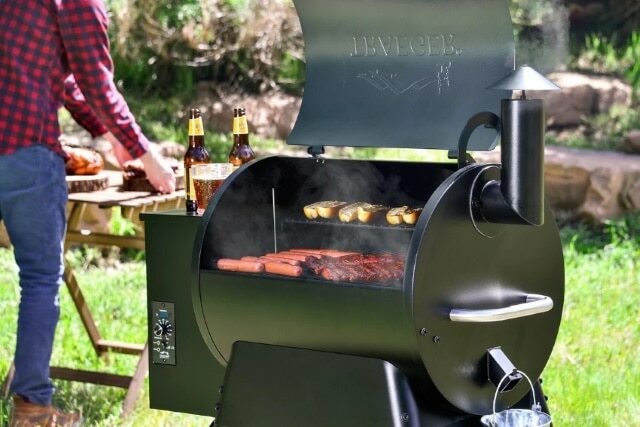 Whether Father’s Day is fast approaching or maybe you’re scrambling to find the ever elusive perfect gift idea for bbq lovers, we have you covered. Everything from great gift ideas, to BBQing ideas to celebrate the day with, and even DIY examples to make your own are showcased below to provide you with everything you need to make this a day worth remembering. 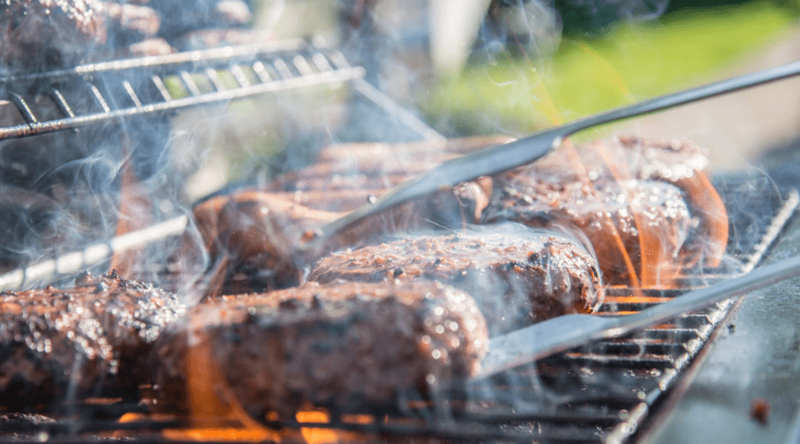 BBQing is a past time all the adults in our family enjoy, and it becomes the perfect place to gather around with a cold drink as soon as the weather begins to warm. 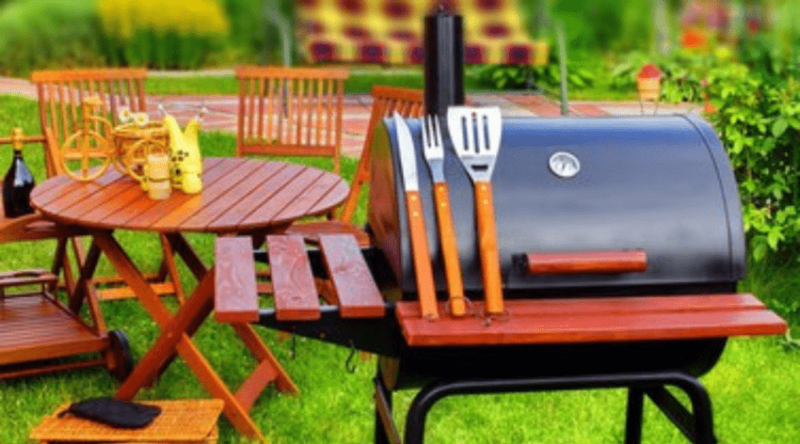 There are some pretty awesome gadgets you can gift that your father, or bbq master can take advantage of and exclaim over on those long summer evenings. This grilling fork does double duty and takes the work out of moving and checking your perfect grilled meat temperature. 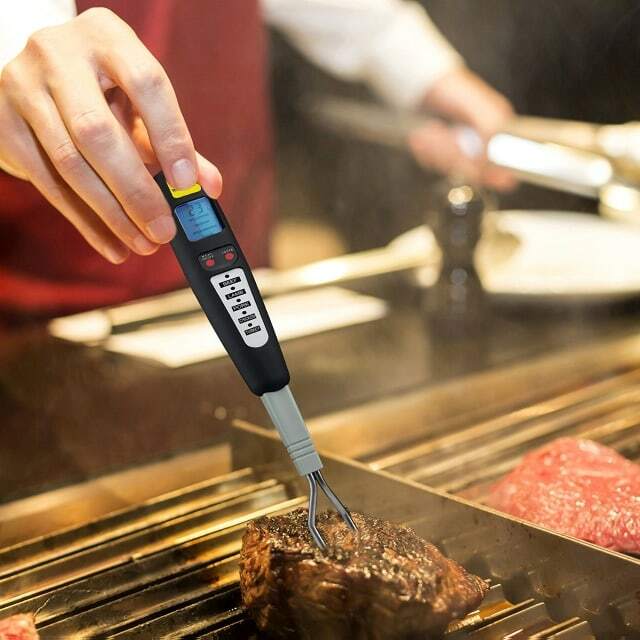 With an LCD display, temperature measurement, and guide for the types of meat cooking, you can make the perfectly grilled piece of meat ever with little to no effort. 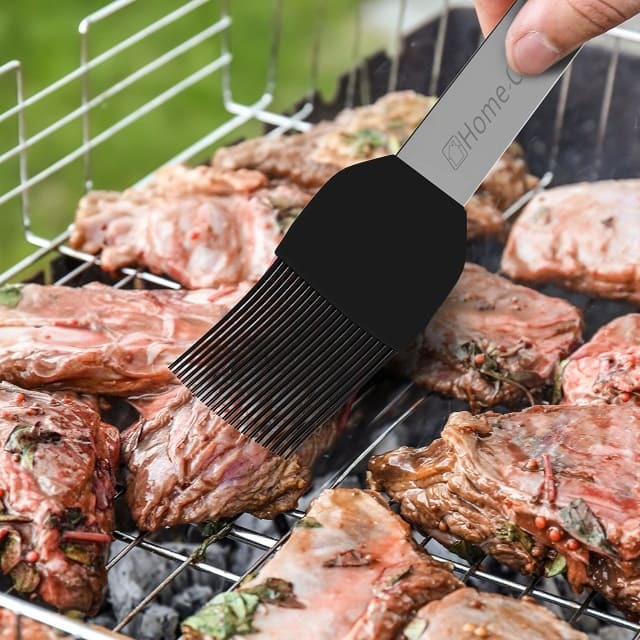 This 6 in 1 grilling tool is everything you need to grip, flip, scrape, and light up when cooking on the grill. It even has a bottle opener for added convenience. This is a handy tool that saves you space and can be tossed in the washer after removing the flashlight. This stainless steel grilling set is all you need to get a new grillmaster started, or surprise an old pro. Flip and grip, or even stab and skewer, this set has it all for anything you can think of that might taste great on the grill. 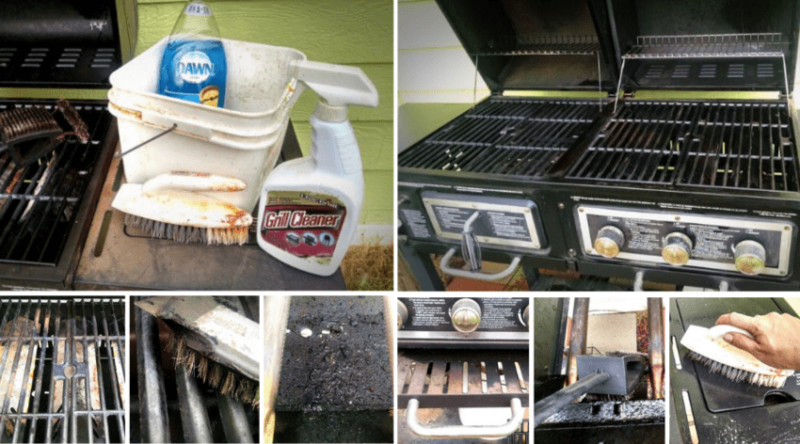 Keeping your grill clean between meals is a great way to ensure you are infusing the flavor of the smoke into your food, rather than burnt bits of your last meal. This bristle free brush is rust resistant and is great for any cooking surface. 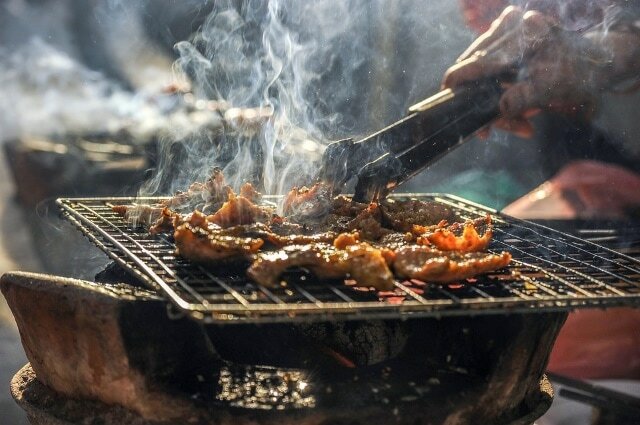 Sometimes you can’t help but wish there was a better way to infuse the great taste of BBQ into certain foods without losing part of it down the grates. These reusable grilling mats are the perfect solution to protect more delicate foods from the flames but still thin enough to leave grill marks and flavor. 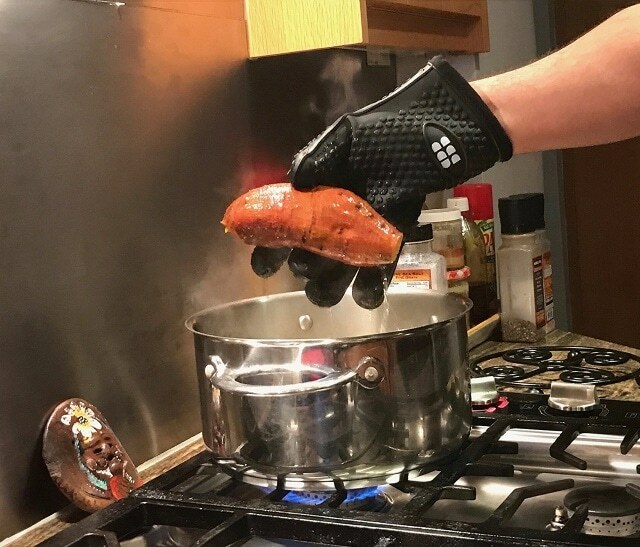 Cooking gloves are a great alternative to other similar solutions that protect your hands from hot surfaces. These gloves have multiple uses for both used over a grill, as well as indoors with ovens and stovetops. 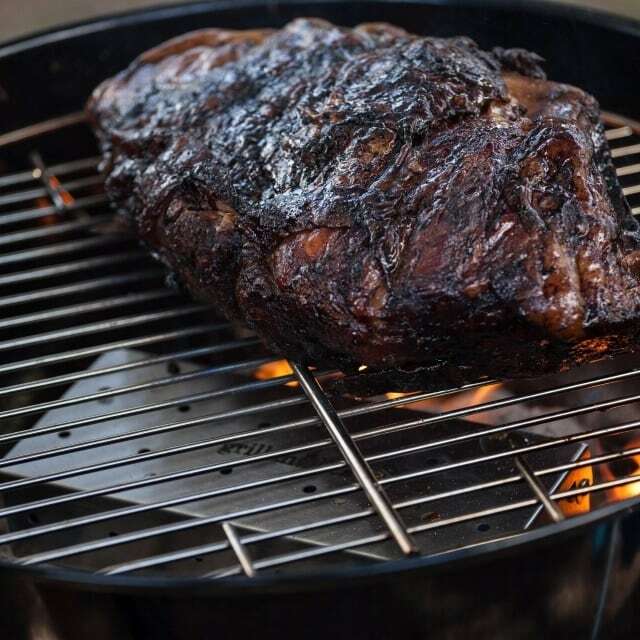 Although you can take advantage of a charcoal grill as a smoker, it can be made even easier when you include a smoker box to infuse slow smokey flavors of your choice. For use on both gas and charcoal grills, this stainless steel box holds the chips of your favorite flavor. It’s inevitable if you are a good cook that you will get some of what you are mixing, turning, and basting on yourself. Help your favorite griller protect their clothing with this grilling apron that includes plenty of pockets for carrying the tools of the trade and spices back and forth as needed. 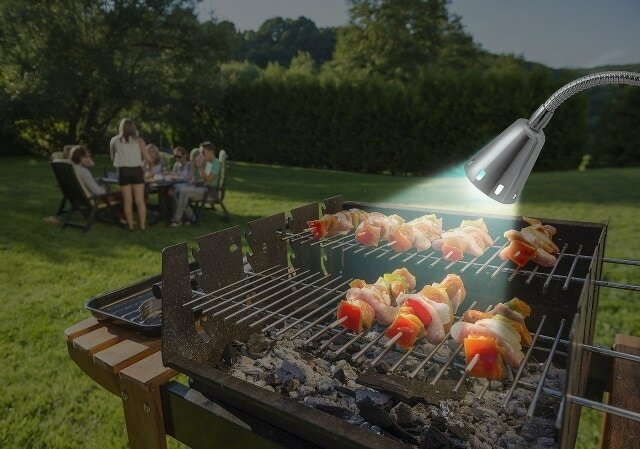 This grill light has a strong magnetic base to attach to most grill and stovetops, to provide you with a directed light on a flexible neck. Worried you won’t have enough light to cook by? No worries with this little light that can provide all you need no matter what time you decide to get cooking. 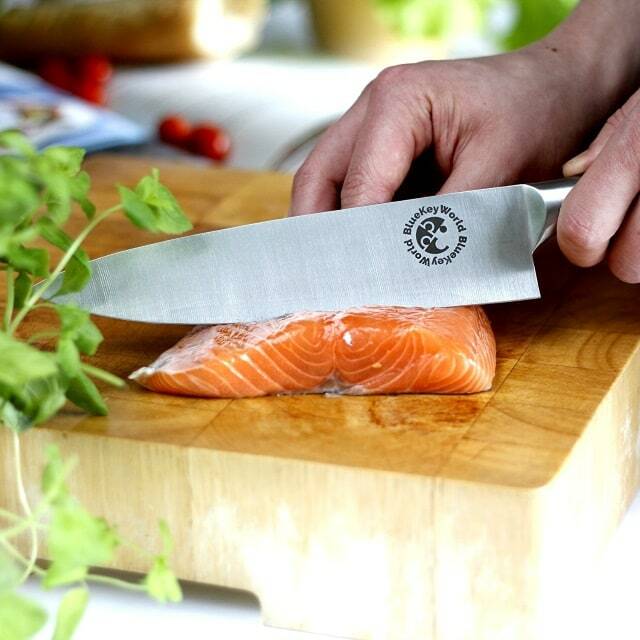 A sharp knife is an invaluable tool for anyone who cooks. Gift your favorite griller with this lightweight, stainless steel knife that never needs to be sharpened, and can cut through any type of meat that needs to be made short work of. 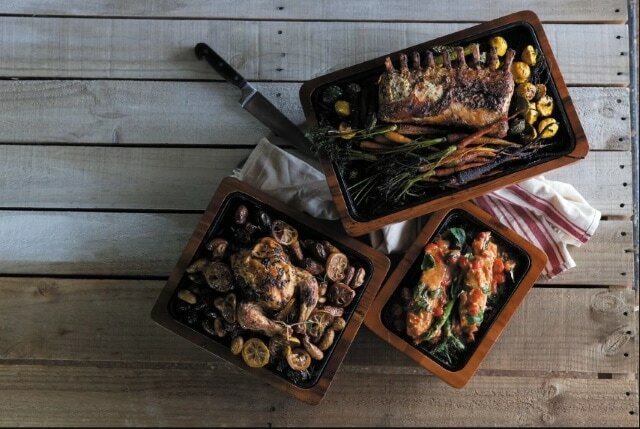 A good serving tray is a must when cooking on the grill. Not only does it allow you to carry multiple things back and forth with ease, it also allows for the perfect presentation. 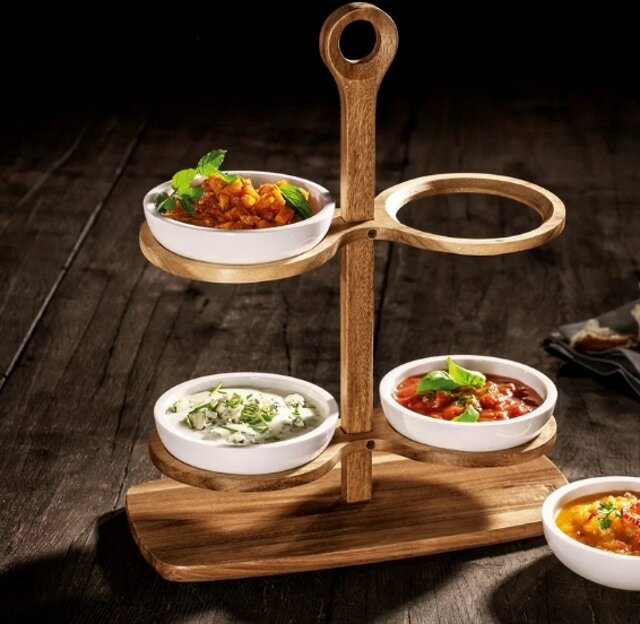 This bamboo tray serves as both an area to present your culinary masterpiece and a cutting board. Plus, you can have it customized for any special occasion. 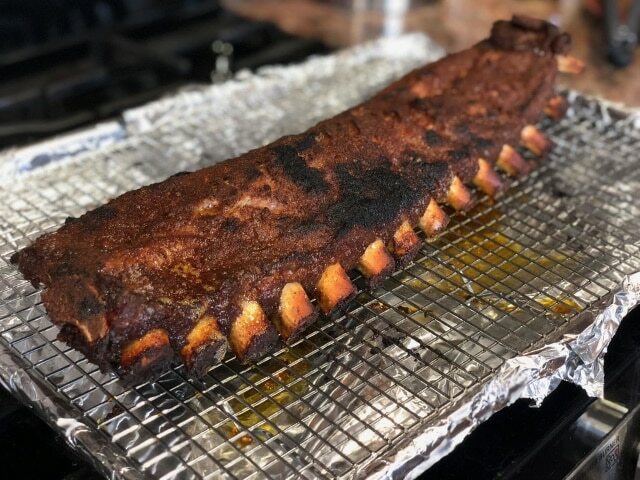 If you love the smokey slow cooked taste of ribs, then you need a rib rack to hold your ribs perfectly over the grill for an evenly infused taste. 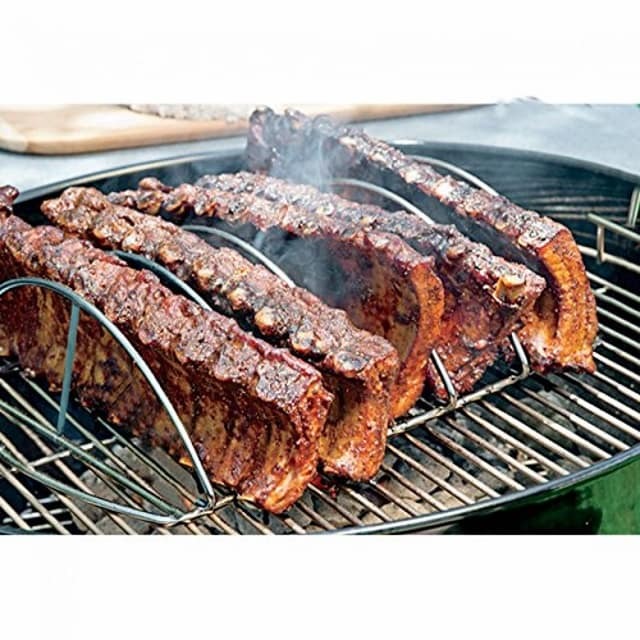 The space bars on this rib rack provide an even spacing and cook time for perfect ribs every time you cook them. 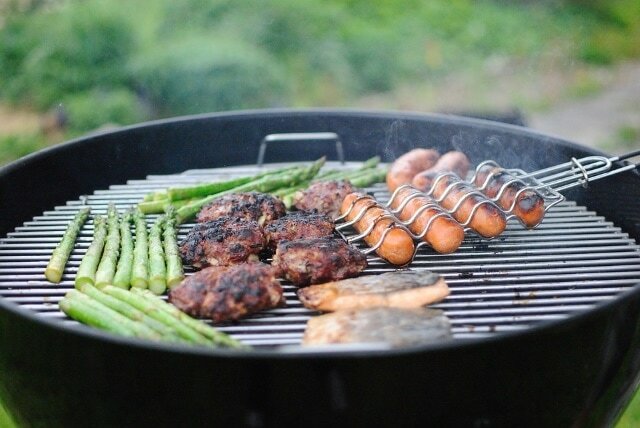 A grilling basket is a must-have for certain foods and even trouble-free turning of your meals. 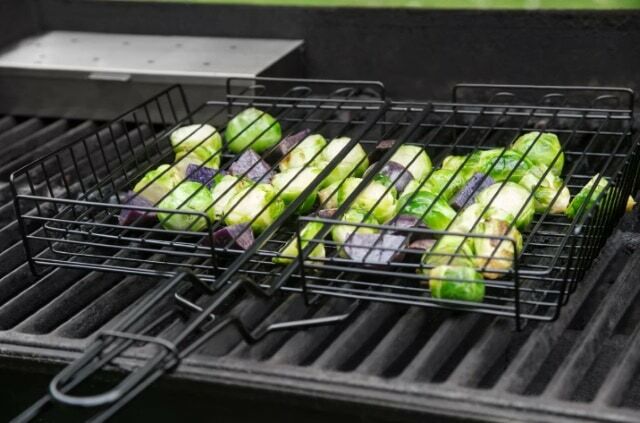 The non-stick iron grate covers your meal on both sides and keeps it slightly elevated and helps space out your food. To evenly cook the opposing side, all you have to do is grab the handle and flip! 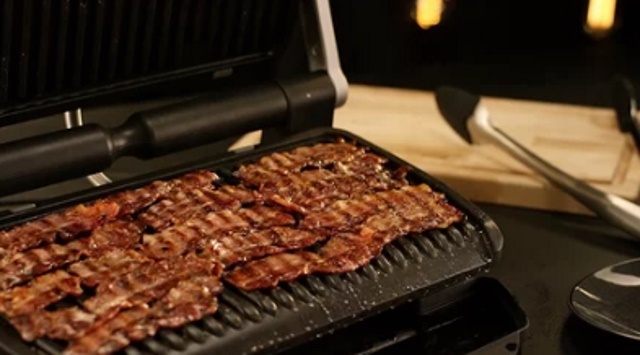 Grill in style over this Pit Boss Wood Pellet Grill is capable of feeding large amounts of people with its huge cooking surface. Made to last, the durable construction of this model comes with a cover and set of spices to get you going in style right away. 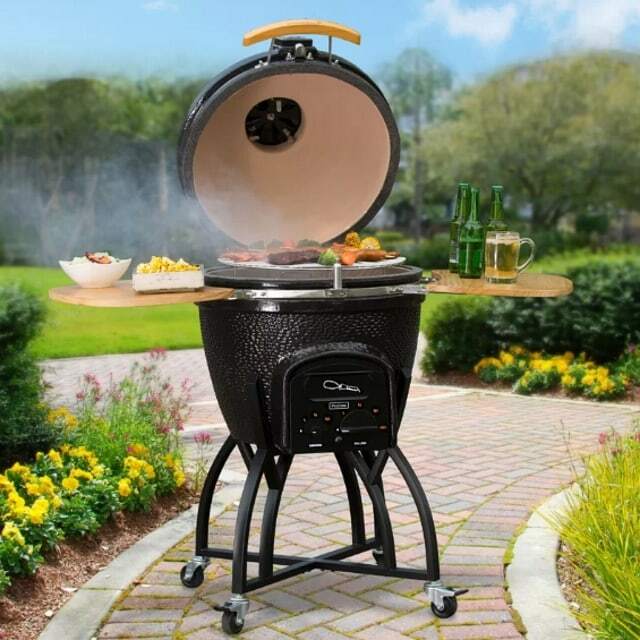 Take your favorite flavors of the grill with you everywhere with this portable BBQ grill. This design is easy to transport and works like any larger style charcoal design, but with the perfect capabilities for camping or a day at the beach. Just because the weather says no, doesn’t mean you can’t enjoy an evening grilling your favorites. A smokeless indoor grill provides all you need to help infuse flavor, but allow fats and oils to drip free for a healthier alternative. 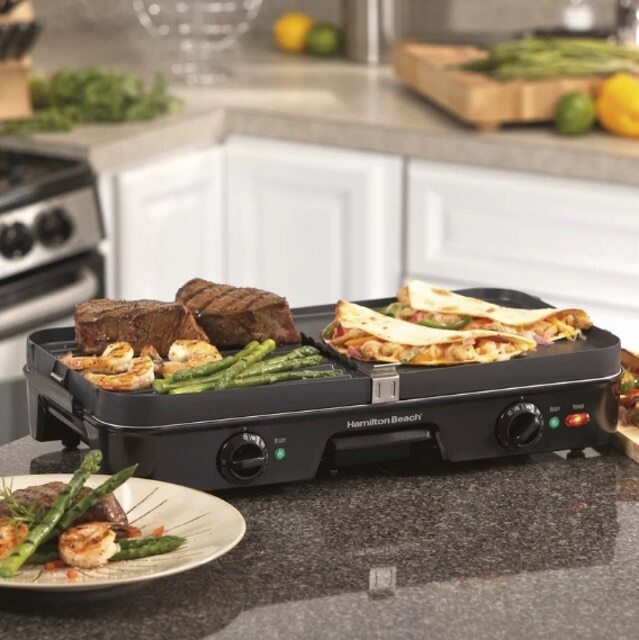 Make both breakfast and dinner with this reversible griddle top that provides a smooth, and grated, side. Perfect for indoor meals, you can use both a smooth and grated surface simultaneously, bringing a whole new meaning to steak and eggs! 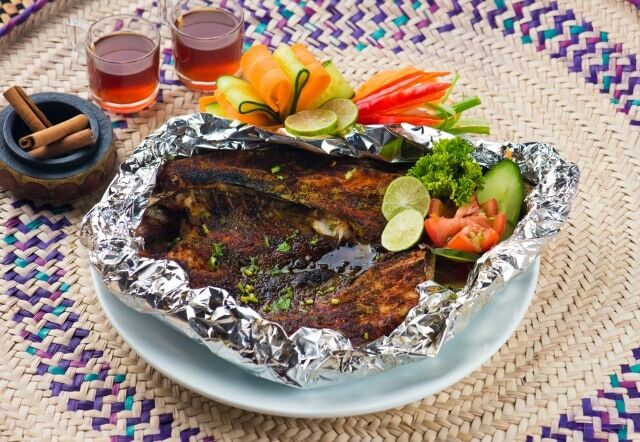 Provide your loved ones with a shady place to comfortably cook and grill even it the heat of the day. 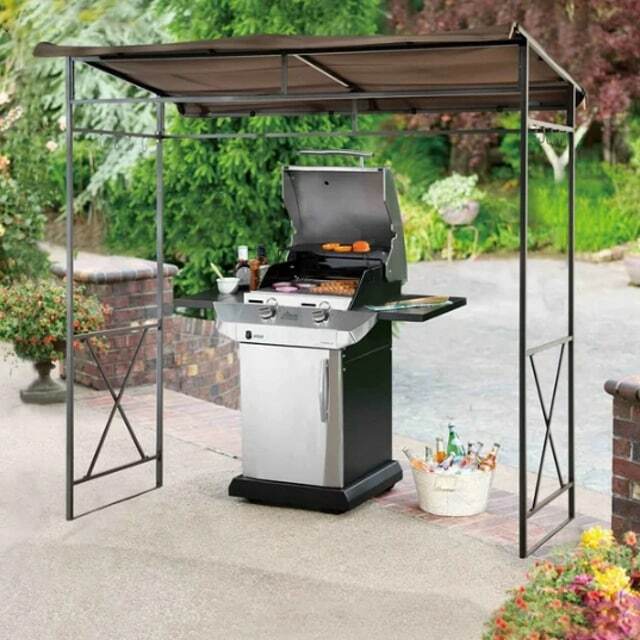 This little canopy is the perfect size for placing on your grill to provide some much-needed shade and get your meals ready when you want them ready. 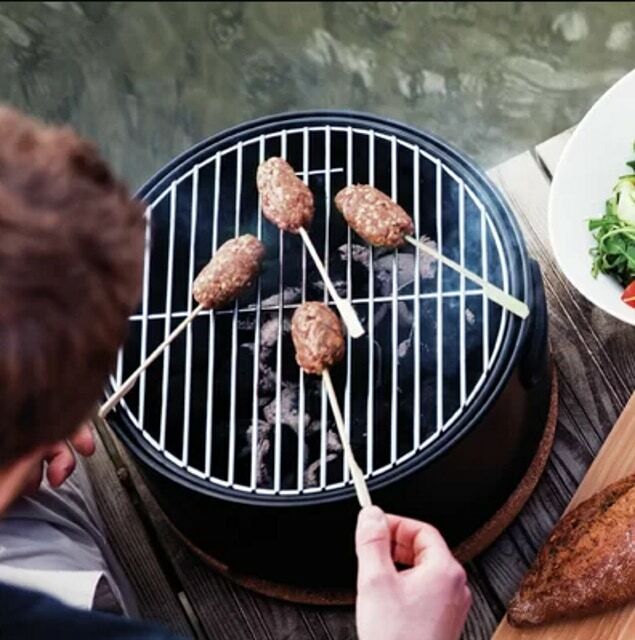 This tabletop grill is another perfect solution for all season grilling. 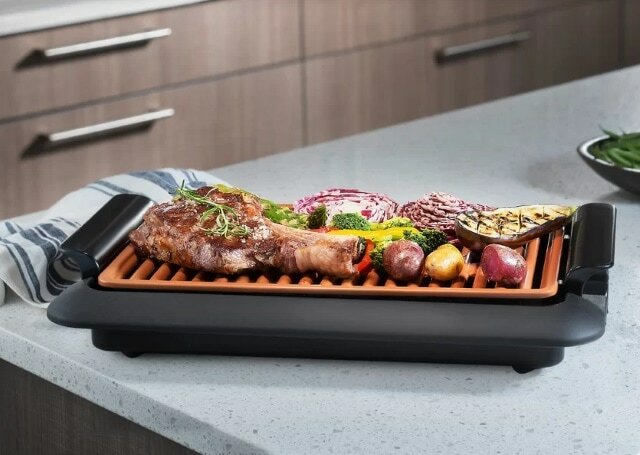 The non-stick surface and easy drip system make grilling anything you can think of an easy task, and also allows for a healthier alternative to a griddle top. 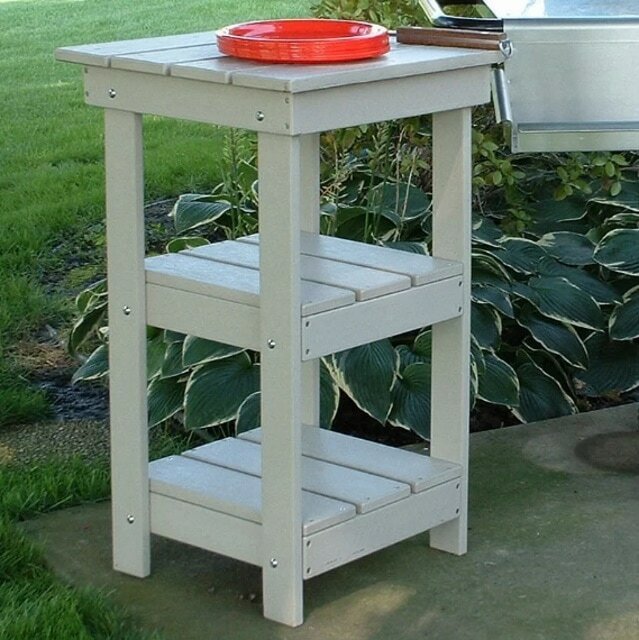 Ever wish you had more room to place the food you are grilling, or the plates and other items you need? This Adirondack Grill Buffet is the perfect size to hold all your extras and provide you the space you wish you had. Extend your summer nights with a Grilluminate Torch LED light with two separate, adjustable arms that can rotate 360 degrees to get the light where you need it. No more asking somebody to hold a flashlight, or trying to beat the dying light. Craving grilled food, but it’s too late at night to fire up the grill, or completely unseasonal? This microwave nonstick grill pan is the perfect solution for quick meals when you live an on the go lifestyle and but don’t need the hassle of bbq prep and cleanup. Traeger Wood Fired Grills can cook virtually anything you can think of, including BBQ or even cookies! The convective heat design is a simple cooking solution for year-round outdoor enjoyment. 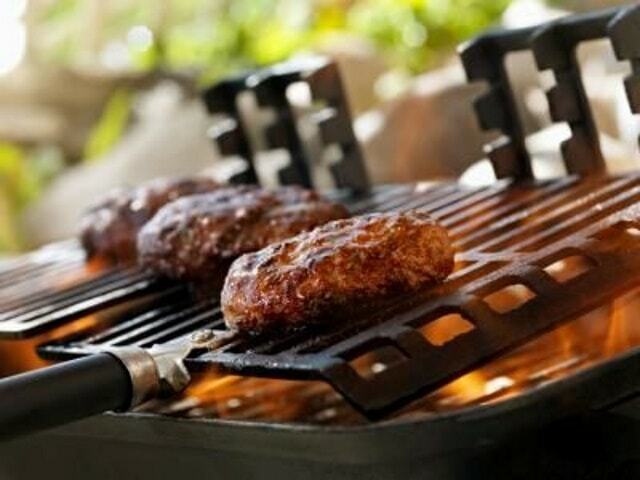 Charcoal grills have been a long time favorite due to how well they can be used in various cooking scenarios. Feel like grilling? No problem? Want to smoke your food? Easily doable. This professional charcoal grill has a specific dual design to do both without having to prep much for either and takes the effort out of getting the flavors you crave. 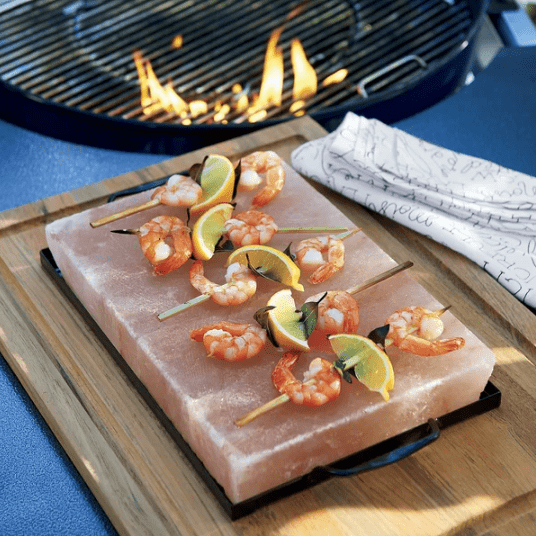 Infuse the natural smokey, salty flavor of Himalayan salt directly onto your food by cooking upon this salt block right on your grill. 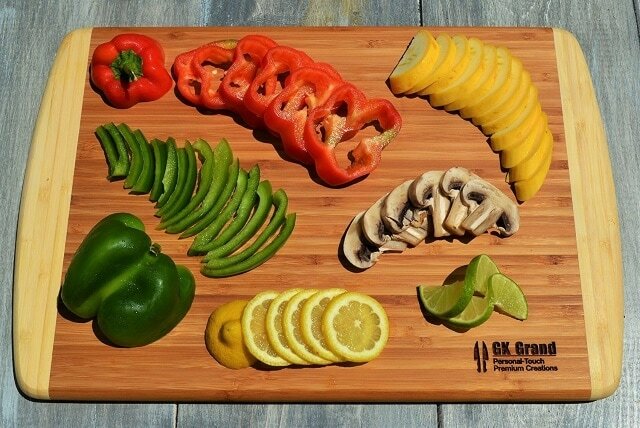 You can also use it as a cutting board, and then serve your gourmet food directly upon it as a platter. Keep your spices directly on hand with these spice, sauce, and oil cups to provide the perfect amount of seasoning to your meal. 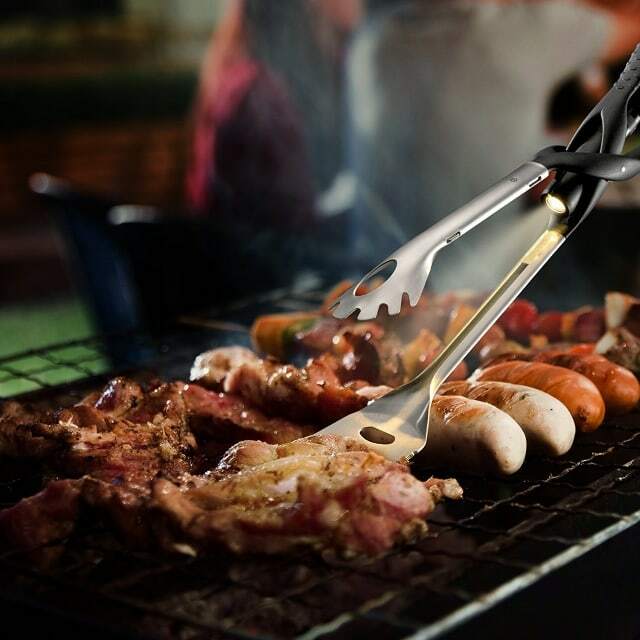 Created to take up very little room, this is the perfect addition to a grill master’s collection of tools. 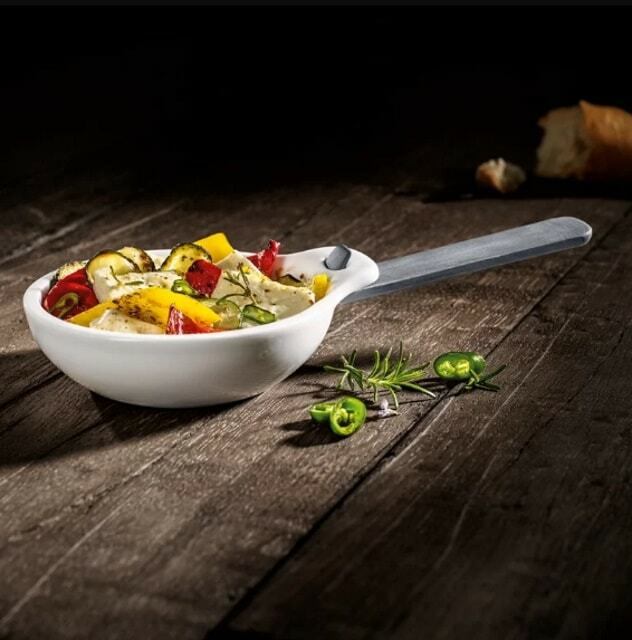 These unique porcelain bowls are made to provide the perfect way to keep your grilled food warm and serve it up in style. Created as part of a BBQ collection, these are a great way to expand your grilling masterpieces. 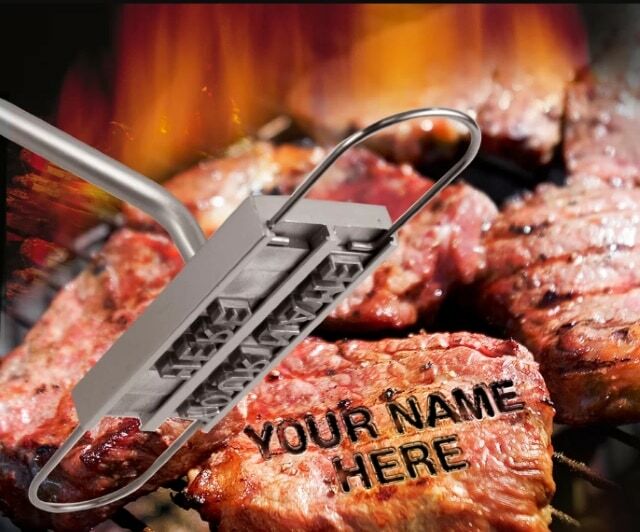 Interchangeable letters allow you to make your food truly your own with this BBQ friendly branding iron. Use it to mark how well a steak is cooked, or surprise your guest with personalized messages. 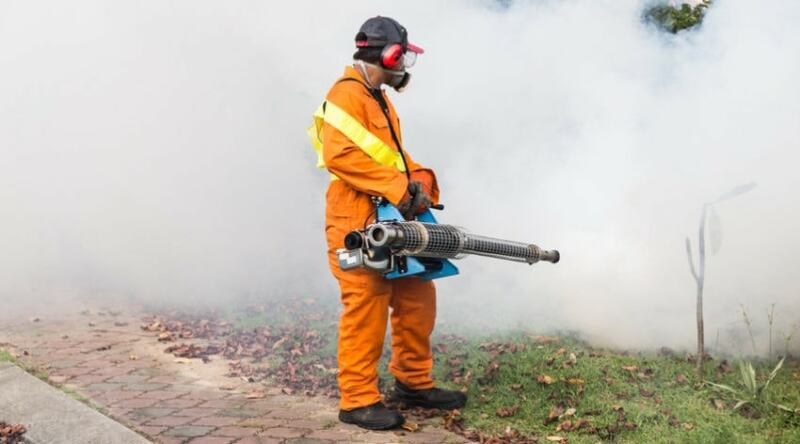 No matter how you choose to use it it is sure to start conversations. 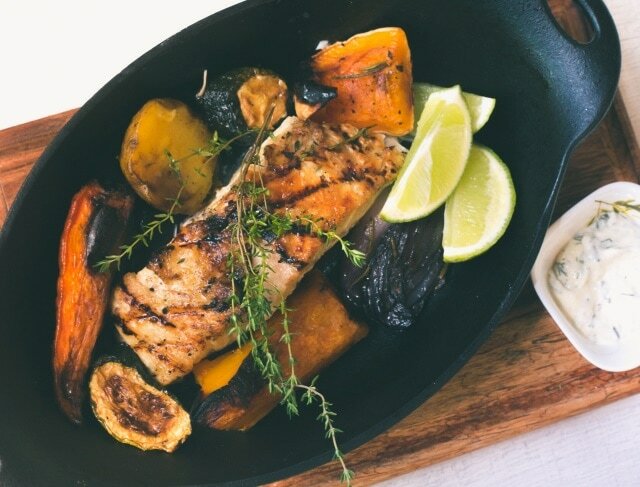 Cedar planks lend an infusion of smokey, woody flavor to delicate meats and fish. Simply soak them prior to cooking and allow them to slowly grill with your choice of meal upon them. 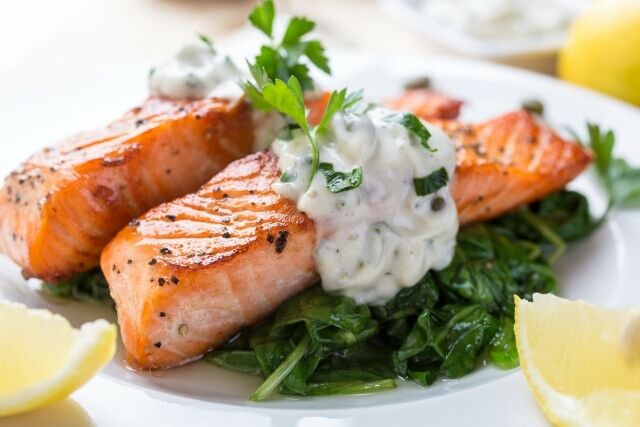 White meats and fish are the most popular choices to cook upon them, as well as vegetable. You seriously cannot go wrong with a BBQ during a tailgate, but not everyone has the capabilities to haul their grill around. 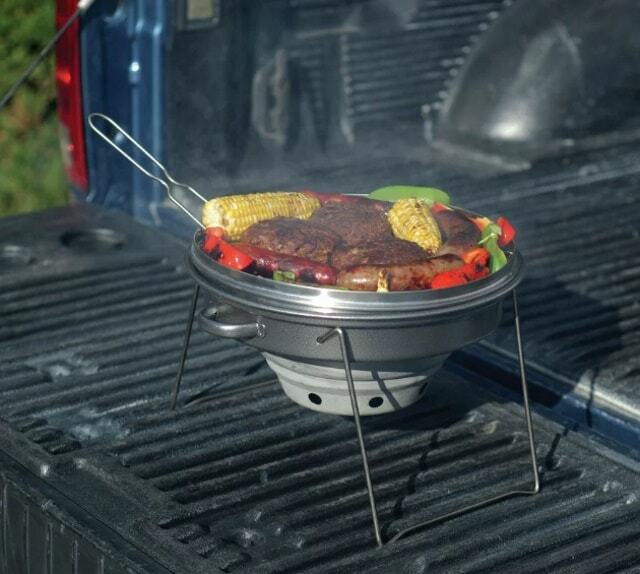 Enter this tailgating portable phenomenon that is a compact charcoal grill that has its own carrying case. 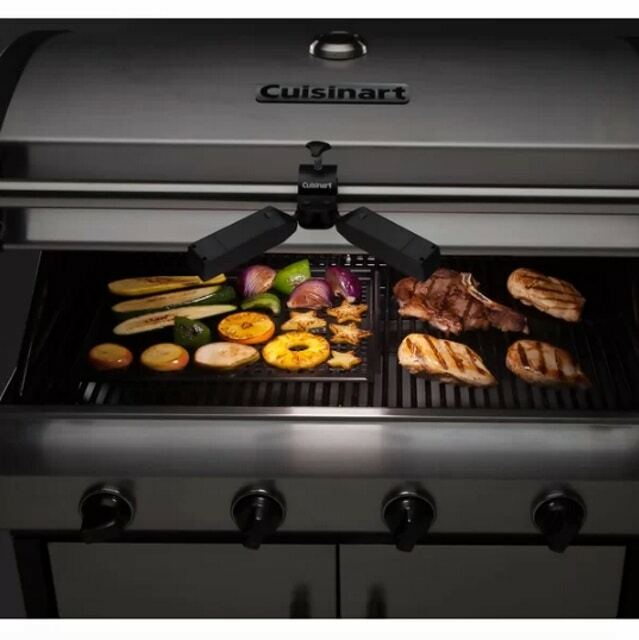 Not sure what to fire the grill up for on Father’s Day? 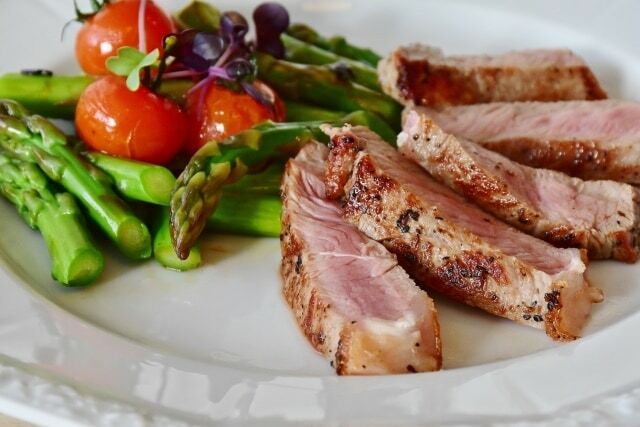 There are an amazing amount of grilling worthy foods from which you can choose from- simply take a look at the provided list below to inspire your next trip to the grocery store. Your dad, or favorite grilling guy or gal, is sure to thank you for the inspiration. Better yet, surprise them and make a meal for them! 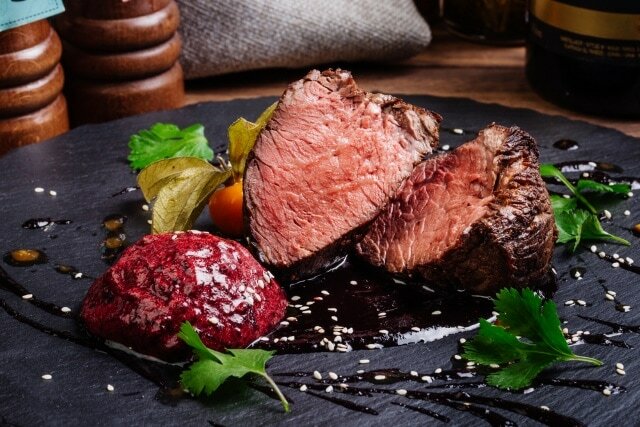 Cook up some meaty morsels over a fine grate to infuse quick flavor. Smaller pieces of meat cook quick and are the perfect addition to Greek Gyros or other Mediterranean inspired meals. Mix up a meal made for the whole family, and provide choices of both meats and veggies for people to pick from. With a selection like these, you can indulge and have a little of each! When you use skewers you can hold your meat above the heat and slow cook it how you like to infuse flavor and tenderness. Plus, it makes it easier to sauce and spice. Fresh veggies are so much better when they are left crisp and flavorful by cooking over an open flame. 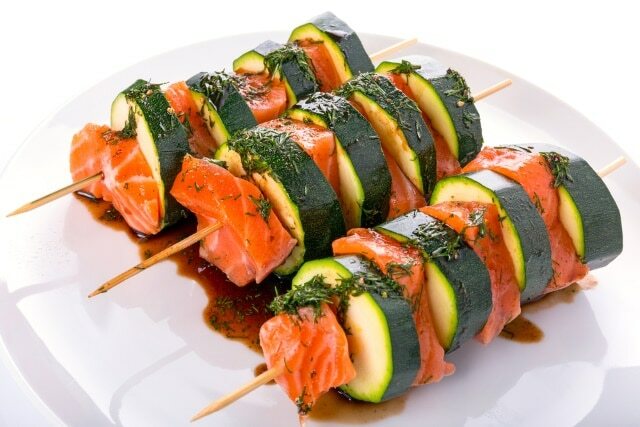 Create colorful kabobs with your favorite proteins for a fulfilling meal choice. 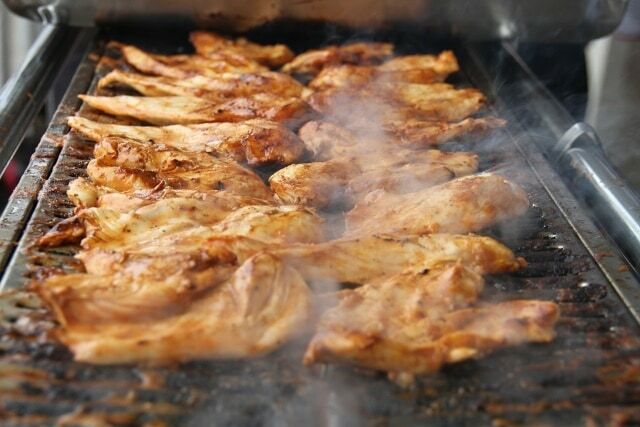 BBQ chicken in the summer simply tastes like long evenings and sunshine. Be sure to cook up this summertime favorite with some fresh veggies and keep a cold drink close by to wash it all down with. 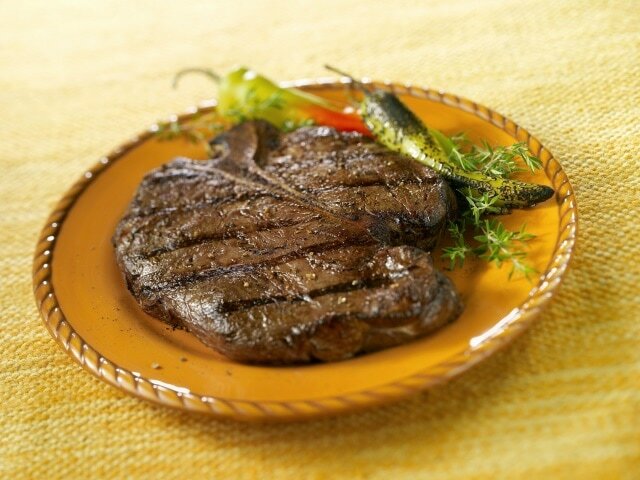 Grilled steak just like your family wants it for the perfect dinner. 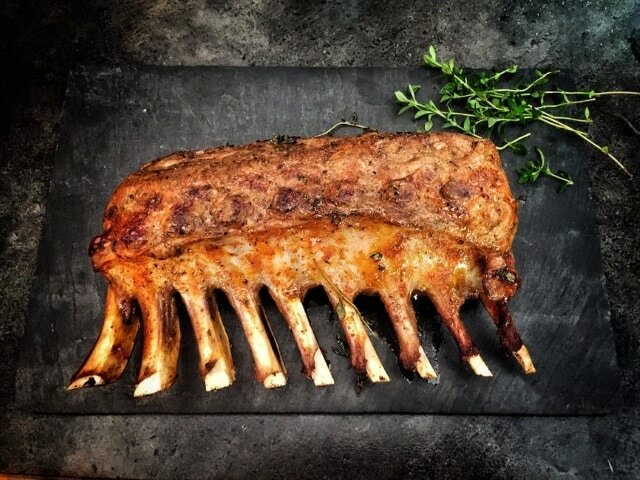 Good cuts of meat may be at a premium, but they are so worth it on the day you want to celebrate your family. Slow smoke your day’s catch over an open flame for mouthwatering tenderness. 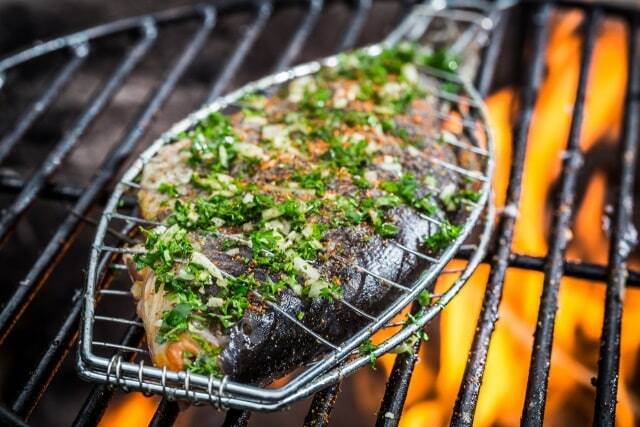 Fish cooks excellently in the grill, and when used in a basket such as this, can be stuffed with herbs and spices to infuse the delicate meat. 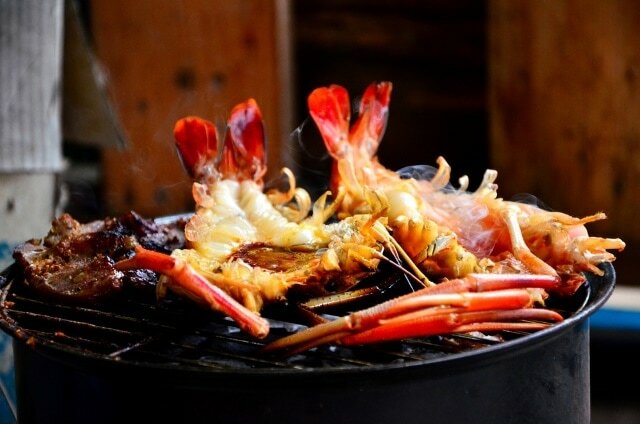 Use a bbq friendly griddle to cook up your favorite crustaceans for a peel and eat flavor filled evening. Be sure to include freshly squeezed lemon and a cold brew (or two) to finish off your palate. 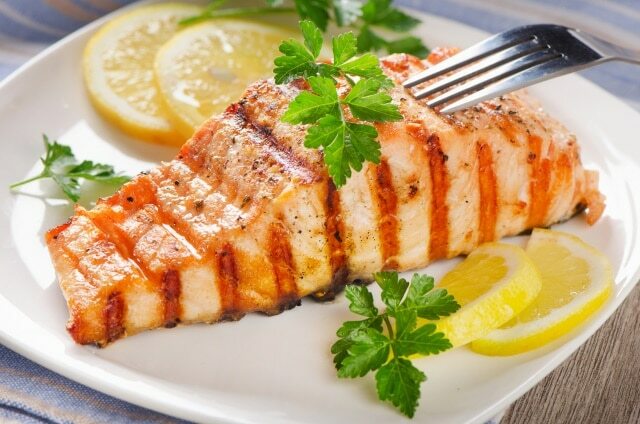 There are many ways to cook your salmon, but one of the most favored is to grill it until it is a perfect flaky tenderness. 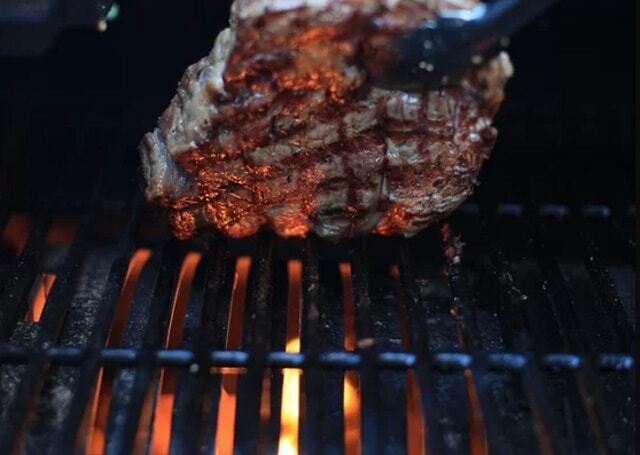 To this over a bbq griddle or cooking mat to get the perfect smoky taste. Some fish is meant to be lightly seared. You can achieve just that with a grill mat a few minutes of time to create the perfect sear on each of these ingredients. Then simply skewer and place in the heat for a few more minutes for tender flavor. 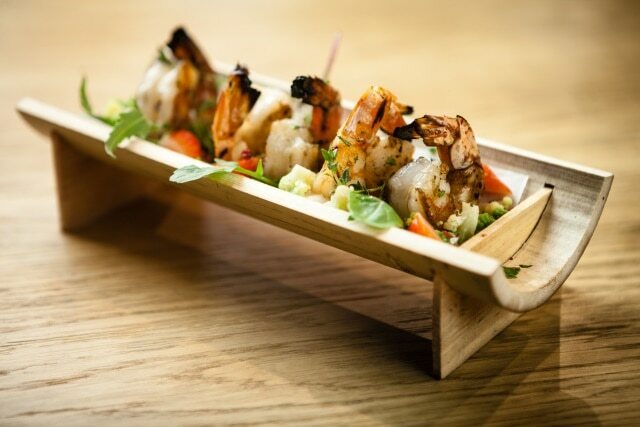 Grilled shrimp and veggies are served in style in these bamboo bowls. 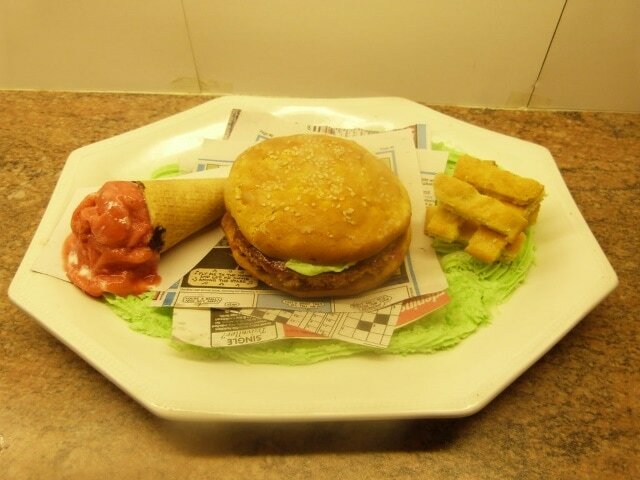 Be sure to provide a presentation to your meals and showcase what you can do. After All, your family is worth it! 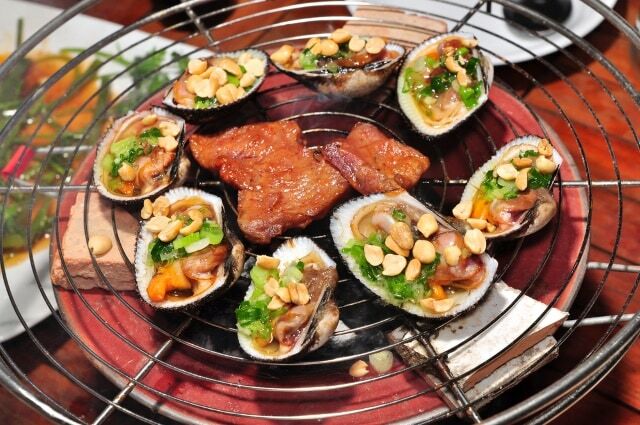 Many things can be used to cook within, especially durable seashells that provide the perfect serving size and presentation piece all in one. Simply mix up your ingredients in advance and spoon into the natural bowls. 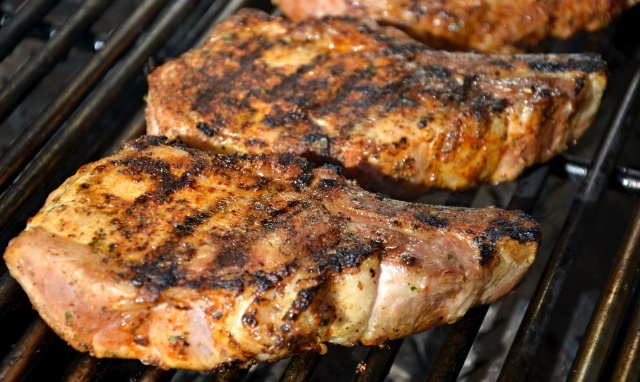 Part of what makes grilling so fun and flavorful are the marks made by the grill itself. When done right you can get a bite of the grilling intensity in each mouthful, plus it makes a pretty presentation. 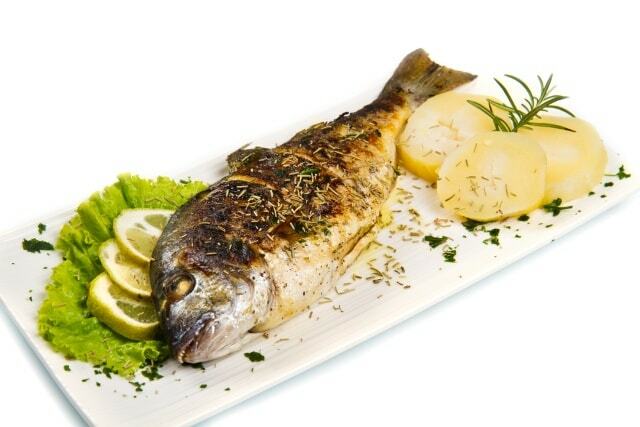 Cooking a fish whole after gutting is the best way to infuse flavor into it. Stuff it full of lemons, onions, and garlic- add a little salt and pepper and oil, and before you know it you have a mouthwatering meal. 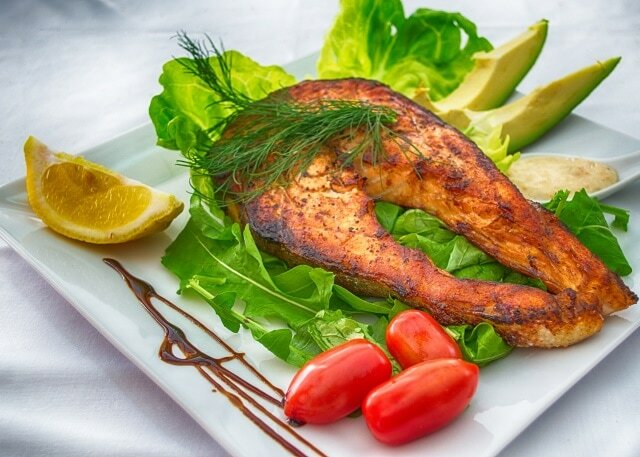 Don’t be afraid to add your fish to other flavorful ingredients. 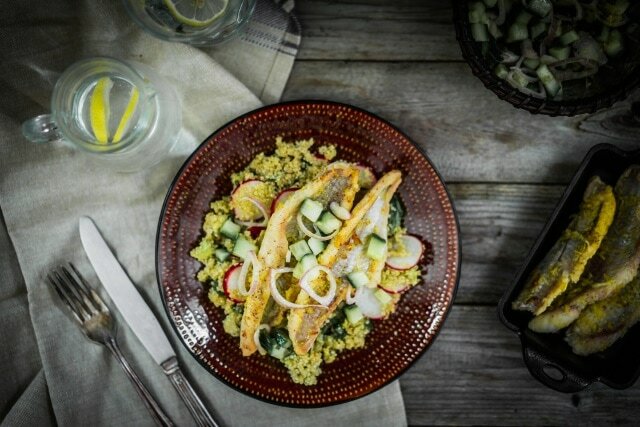 There is no reason it has to serve as a stand-alone portion and mixes well with rice, veggies, couscous, and other items you can either cook on or off, the grill. No matter your choice of ribs, they almost never taste better than when done right on the grill. So get out your favorite sauce and prep your ribs, because they are a perfect choice for a crowd. If you like to try new things, then getting an octopus to grill up is exactly what you have been waiting for. 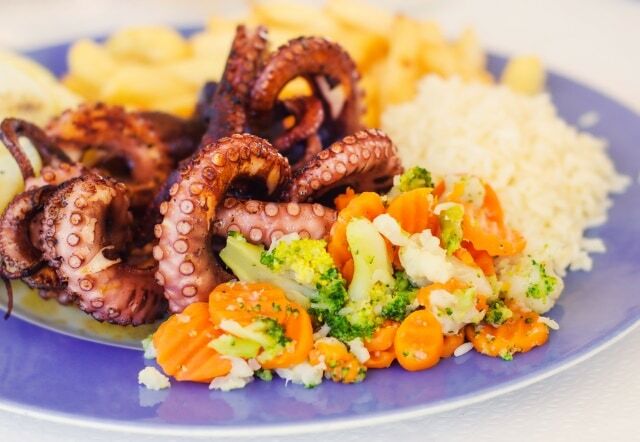 Quite the delicacy overseas, the octopus has become more and more popular as a seafood staple. Tin Foil meals are not just for around the campfire. Instead, try your hand at the many recipes that exist for easy to make (and clean up after) meals that are infused with flavor. These cook fast but are flavorful and delicious over a bbq grill. 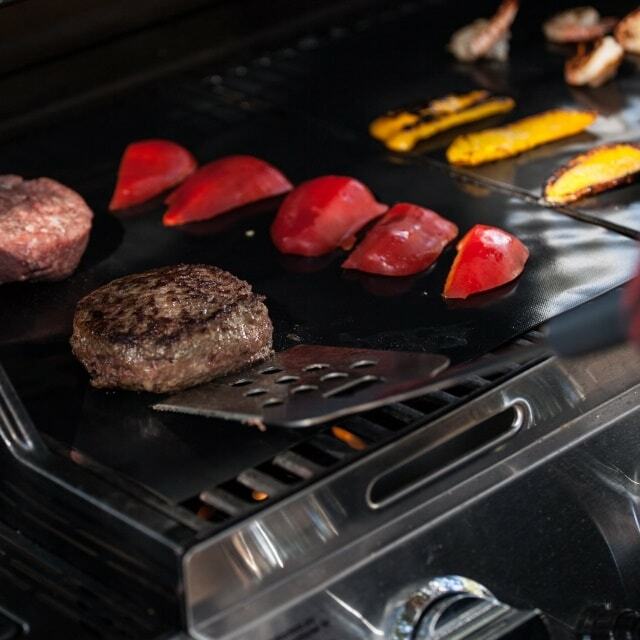 Use a grilling mat or griddle to help create even cooking heat, and try to void drying out. If you do, your mouth with thank you. This half-shell medley of seafood and veggies pair perfectly with steak for mouth-watering deliciousness. 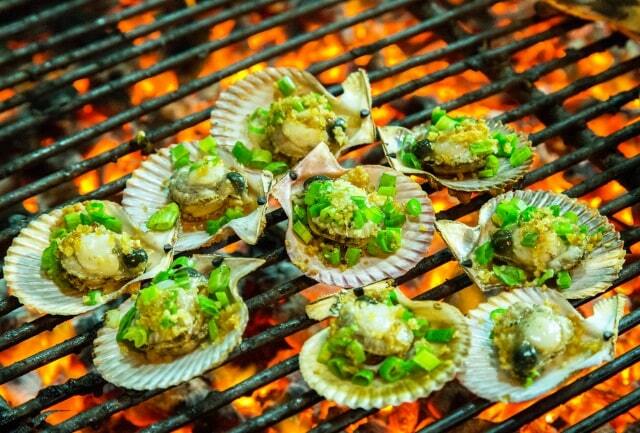 Many stores will even prepare a mixture too cook within the shells for you, making you look like a culinary genius to your guests. Lobster may not be an everyday occurrence, but admit, your family deserves it. 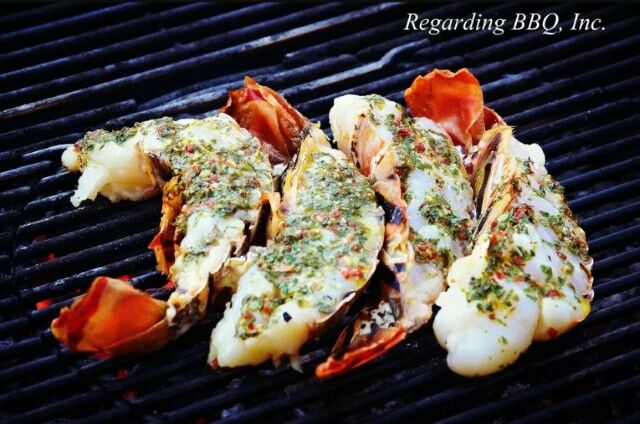 Grilled lobster is as good as it comes, and should be cooked slow and with plenty of butter (in my opinion)! 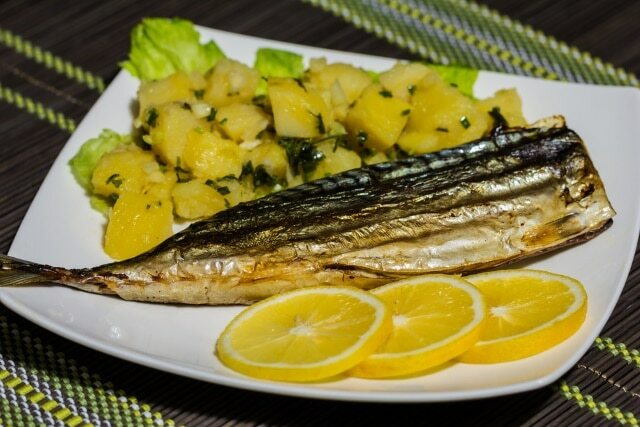 Mackerel is a flavorful dish and pairs well with grilled veggies. Simply brush lightly with oil and cook it up together. Brighten the entire dish with sunny lemons and salt and pepper to taste. 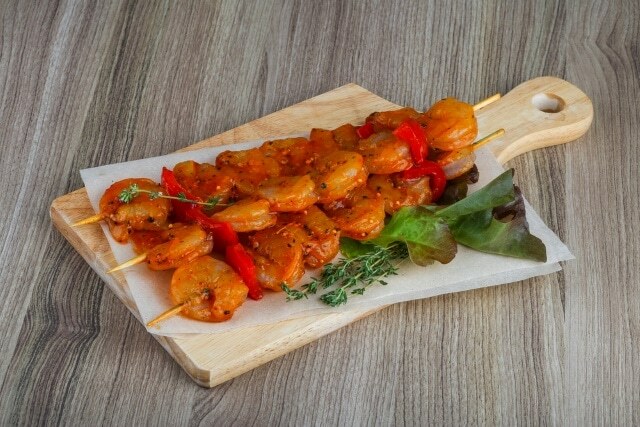 Skewer up some prawns and bbq them over an open flame for an easy, and quick introduction to a larger meal. 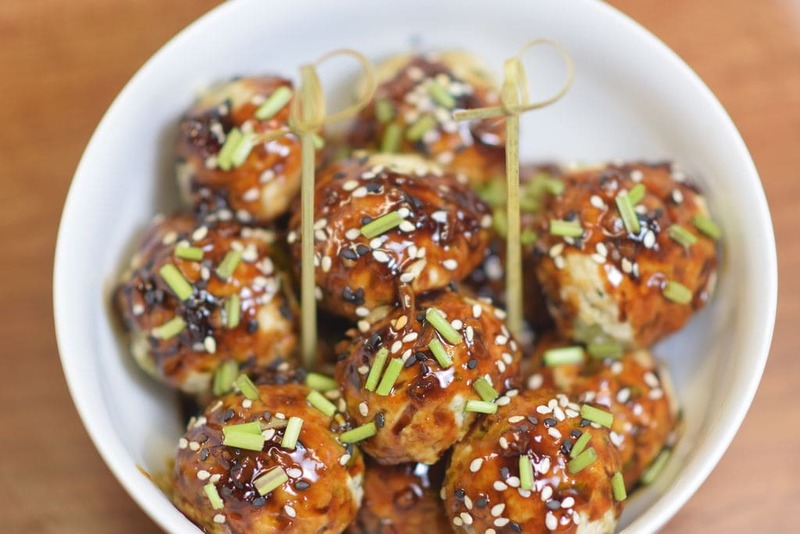 These serve up easily and are fun to eat with a cold drink while waiting for the rest of the dinner. Your choice of meat isn’t a meal until you have a worthy side. Take a walk through your produce section (or even better yet, your garden) and get what is in the season to grill up alongside your favorite protein. It’s been mentioned before and it will be again, ribs are perfection on the grill. Whether you use a rub or a sauce, you know it’s going to turn out right, the time it takes to prep it is well worth the endeavor. Chicken doesn’t have to be sauced to be perfect. Part out a whole chicken, marinate it and cook it over your grill to crisp the outside and seal in the juices. 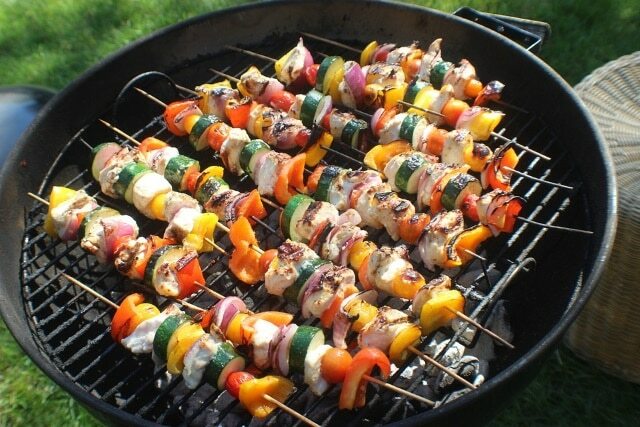 Kabobs don’t have to actually be grilled to be excellent. 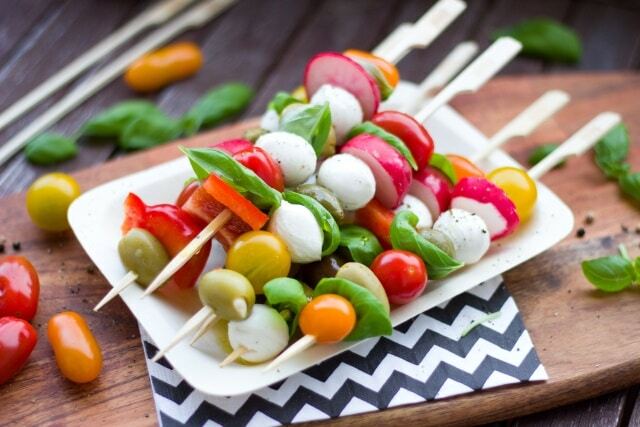 These fresh Italian style skewers hold the colorful tomato, basil, mozzarella, and olives as the perfect starter to a meal. Raw veggies are often exactly what the palate needs alongside your cooked protein. This California inspired avocado and tomato on a fresh bed of lettuce is the perfect accompaniment to bbq meat. Cast Iron is made to withstand high amounts of heat and is amazing to cook within. Take your grilling game to a whole new level by using cast iron skillets directly over the flame to finish off your perfect meal. 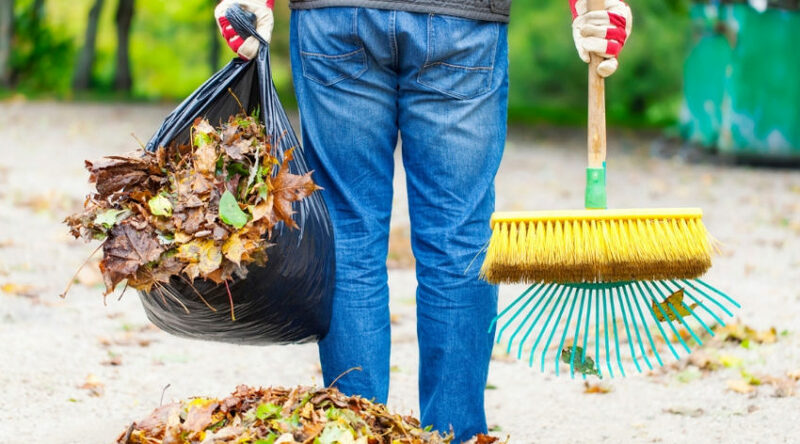 If a remodel is at all in your future, or you know you will be looking over new landscaping plans, why not include the perfect outdoor area to gather and cook. 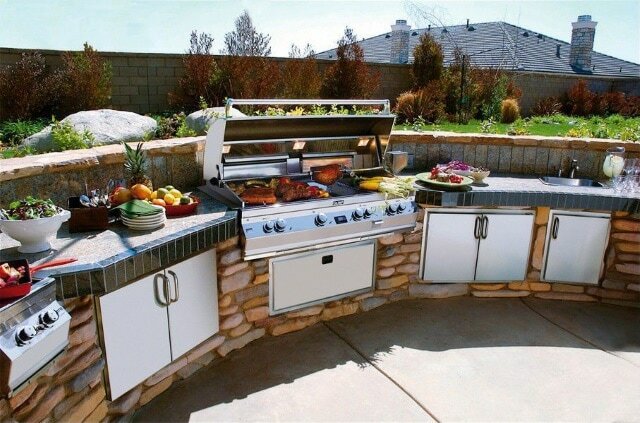 Outdoor kitchens are quite popular and usually revolve around a BBQ pit and places to sit and relax while the grilling commences. 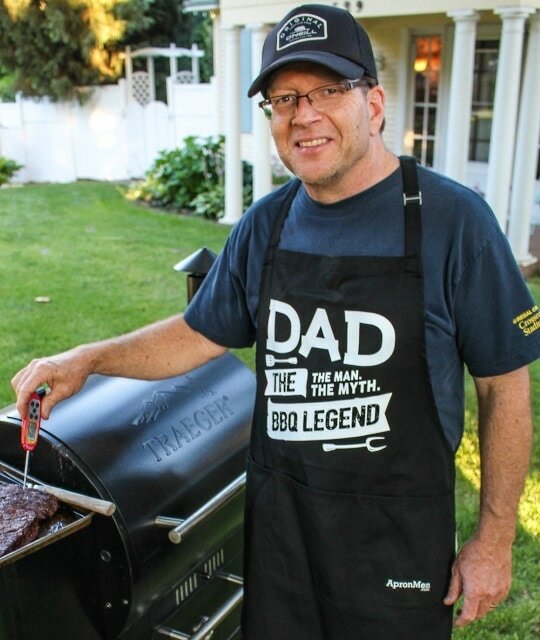 What a great surprise to the dad (or any other pitmaster) in your household. 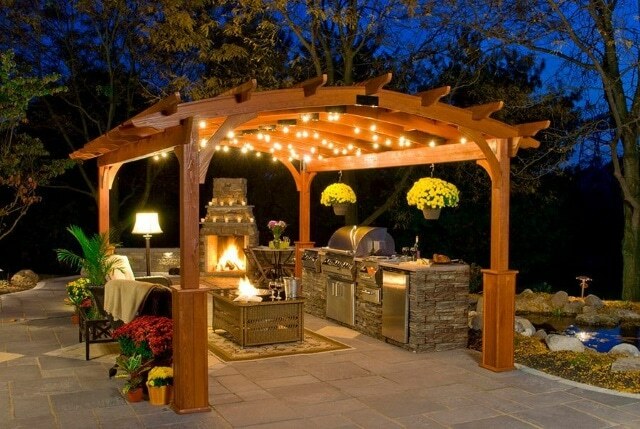 This awesome pergola design is the perfect place to gather under for a meal or simple place to relax and unwind. Perolas are easy to add to existing landscape designs and can be used for various activities. Extend your living space and let in the fresh air for a place to socialize and catch a cool breeze after a long day of work. 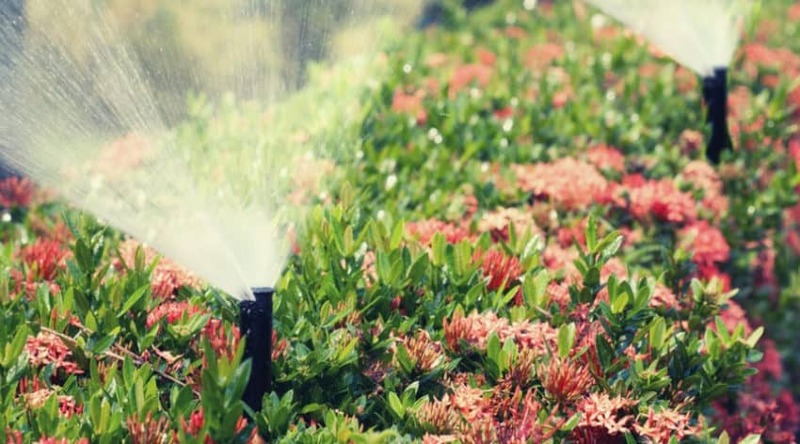 These types of home add-ons provide a shady area under which to take advantage of and are a great way to enjoy the warmer seasonal weather. 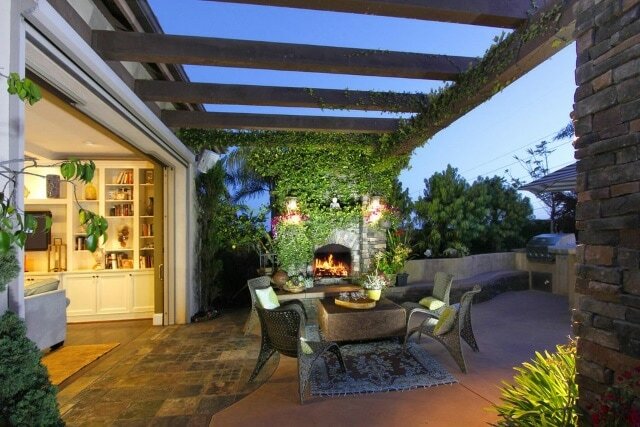 Everybody loves to have a healthy amount of countertop space in their kitchen, but what about outside? This lovely design incorporates an entire kitchen setup on the patio- sink included! Not in the mood for construction plans? 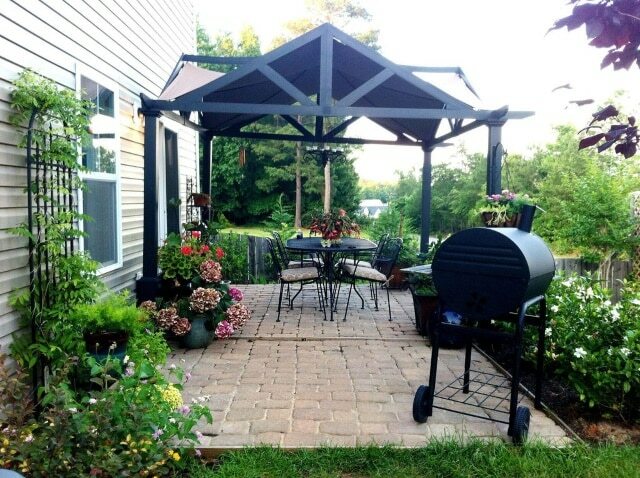 No worries, many elegant canopies are temporary and can be packed away into storage when not needed during colder winter months. Plus, designs like these mean you can set it up where ever you need it! If a budget is part of your spending plan, then why not look at what you can make or do to make the day extra special. Do it yourself meals are extra special when dad doesn’t have to make up his own meal and man the grill. Create a culinary masterpiece for him to sit back and enjoy. Meatballs on the grill are quick and easy to make and pair perfectly with your favorite BBQ sauce, or any other flavor you would want to try. Plus, these are a perfect pick for young children to help with. 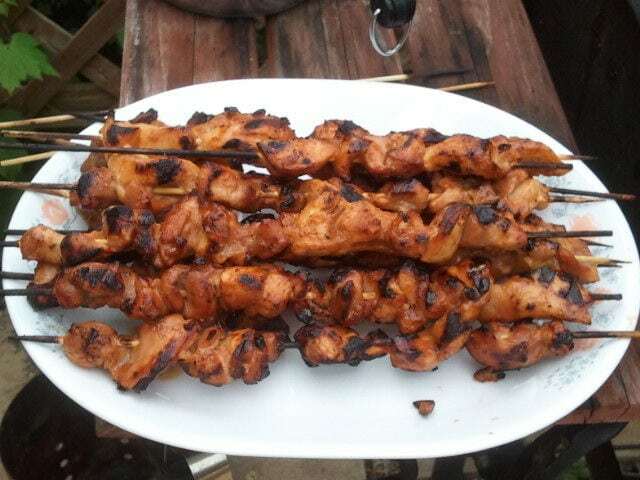 Skewered chicken is easy to season and sauce, and slow cooks quite well into a tender, juicy morsel you can eat right off the stick. 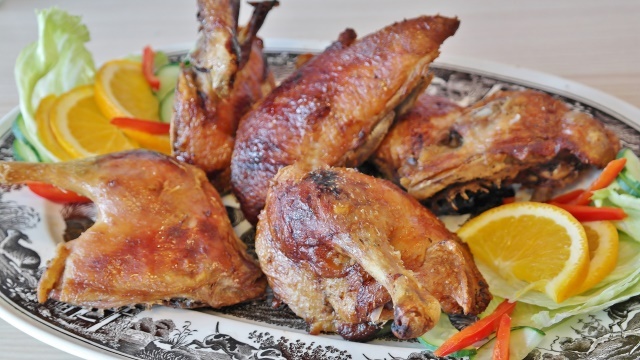 Try out the is Filipino inspired recipe and get your mouth watering. No grill? No problem? Tender ribs can be cooked up quickly and easily in your pressure cooker. 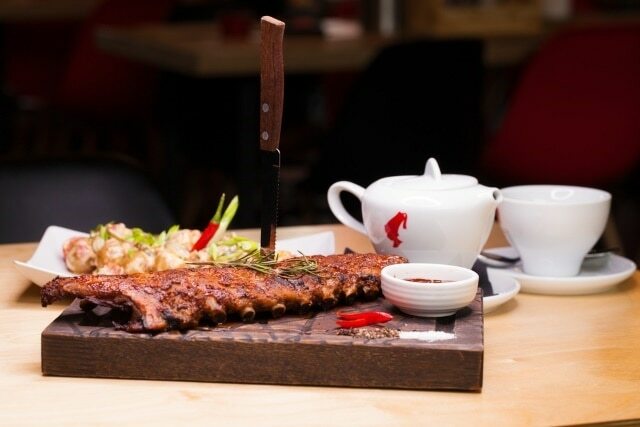 Since the ribs literally cook right in their own juices and sauce, the infusion of flavor is amazing. Thy this homemade sauce with chicken breasts or chicken on the bone for a sweet and tangy, BBQ surprise. Once you start making your own sauce following this recipe, you may never buy store brands again! Zucchini is such a versatile vegetable and should be used as often as possible when in season. 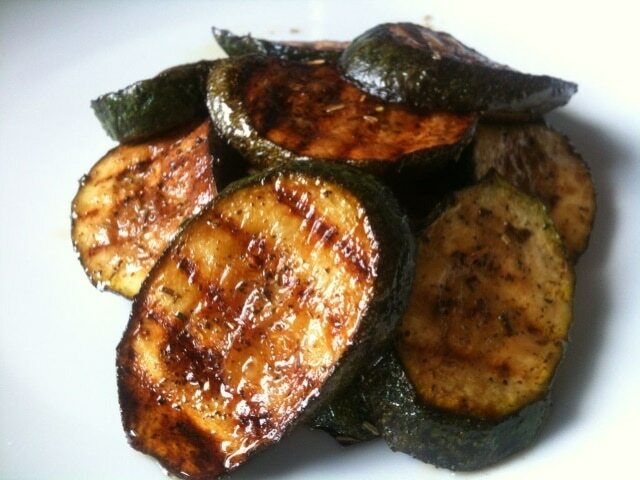 Sliced and grilled zucchini is the perfect side dish for almost anything you can think of on the grill. No grill needed for these cheeseburger sliders. 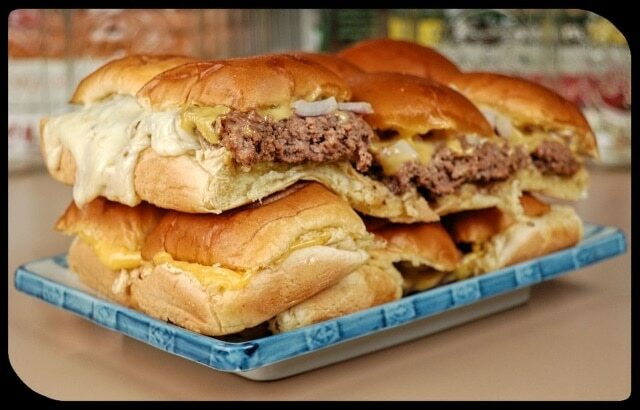 Simply put together in a pan and pop in the oven for awesome slider style cheeseburgers. Add your own flavors and bbq sauces to the mix to make it your own. 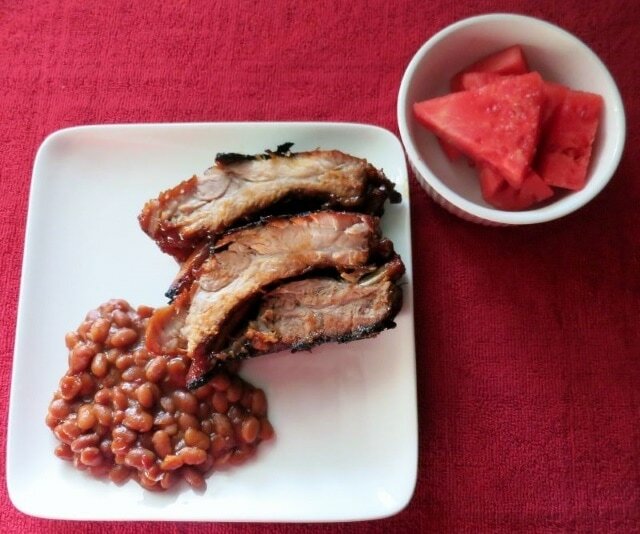 Have a vegetarian in your life who loves BBQ? 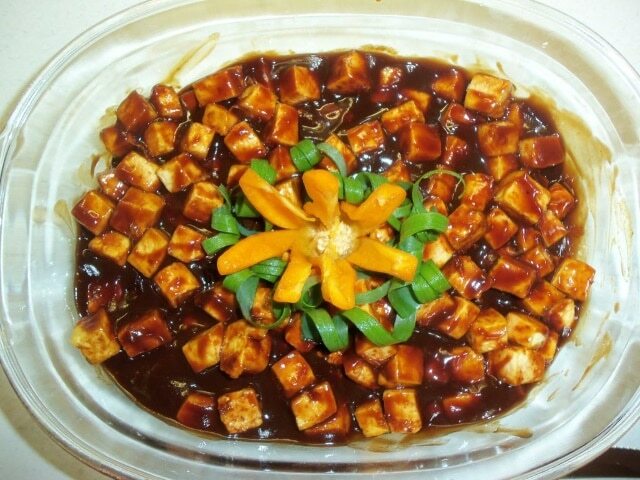 This easy to make Tofu bbq that is reminiscent of a bbq meat tossed side dish. No reason you can’t enjoy the flavors of a summer grill even if you have dietary restrictions. This plate may look like a favorite summer-inspired meal, it is in fact, a dessert made for sharing! Pastry, banana bread, brownies, and even sorbet are highlighted in this fun medley of sweet flavors. Another pressure cooker hack, this one uses a dry rub to make your ribs feel more like a slab of meat straight off a Texas BBQ pit. Different flavors are loved in various parts of the country, so choose which is your favorite. 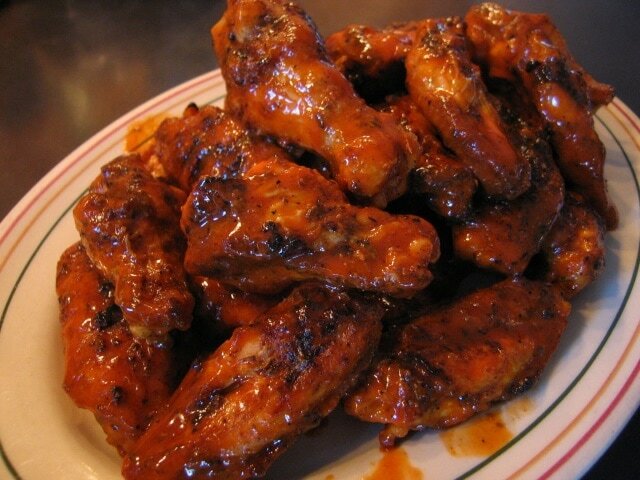 Hot wings are a staple in many households all year round, but if you happen to grill your wings before hot wingin’ them up, you may be blown away by the extra flavor it lends. 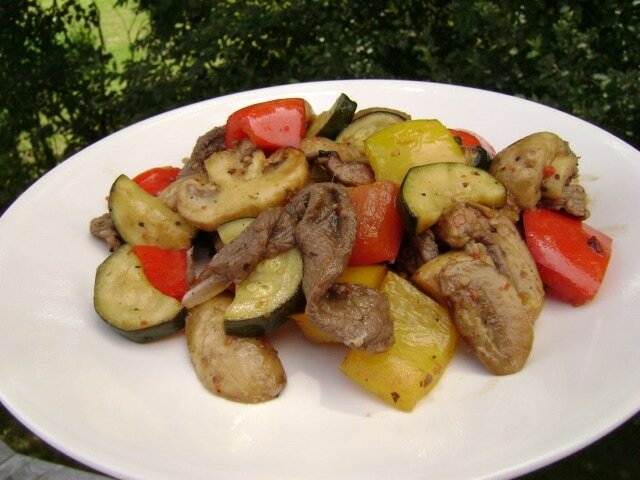 Make your favorite stir-fry using a BBQ grilling pan to infuse a smokey flavor and provide a new twist to your favorite ingredients. This summery mix includes fresh veggies from the garden and summertime potatoes. 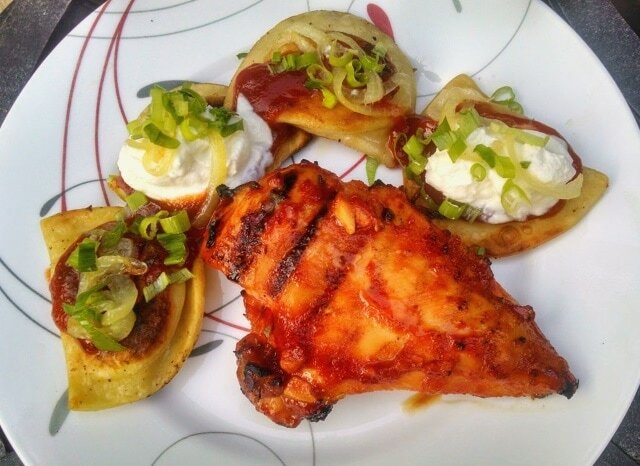 Craving BBQ chicken but don’t have a grill? 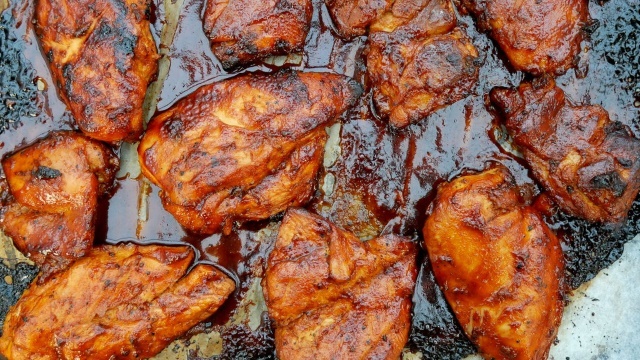 Even if you do, sometimes grilling isn’t always convenient, so take advantage of this recipe to get flavorful BBQ chicken straight from your own oven. Marinate these rib tips, grill slowly, and then finish off with an awesome sauce for a sweet and tangy summertime infused favorite. 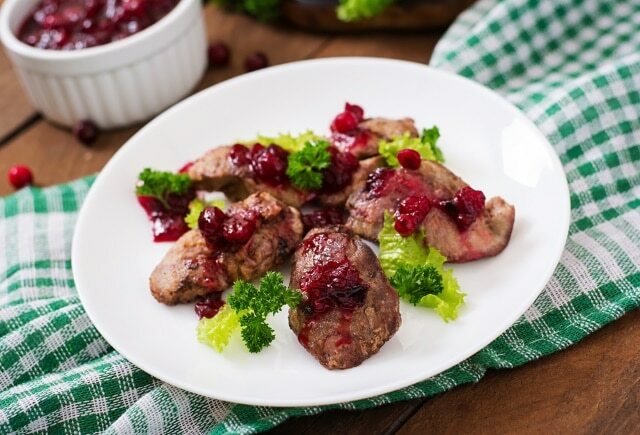 These serve up perfectly as a main dish, or as part of a choice of other grilled meats. 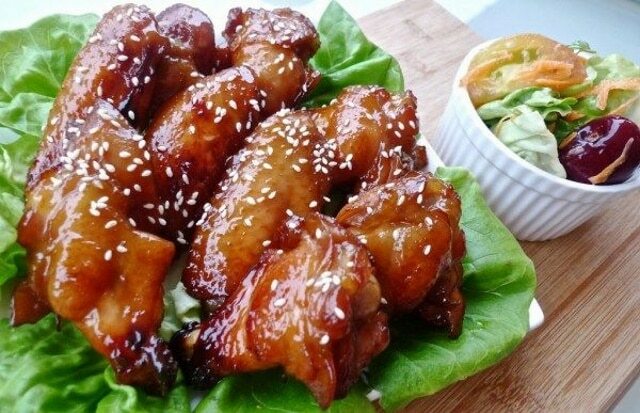 These Asian flavored wings mix up the BBQ sauce flavors so well loved in the summer to bring a light and refreshing change to your grilling. 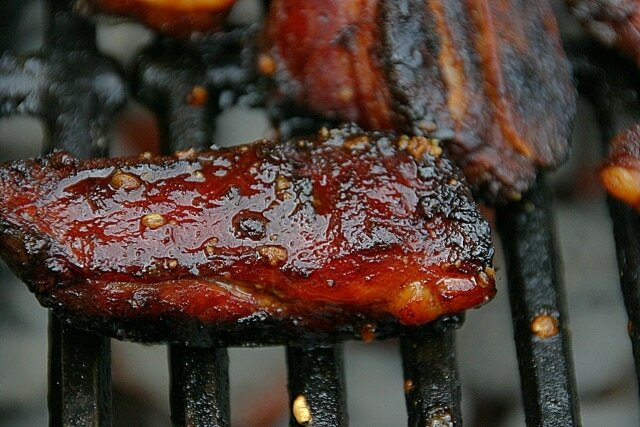 The smoky grilled flavors pair well with the sweet teriyaki and sesame this recipe calls for. 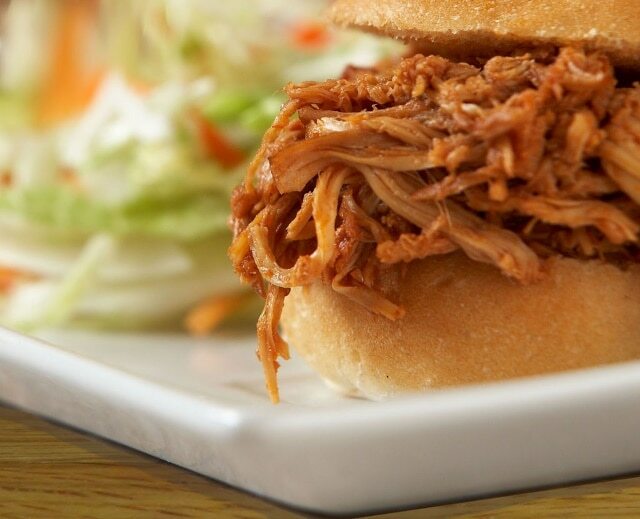 Pulled pork can be made in various ways, but when started over a grill to infuse the slow cooked BBQ flavors into is, you get this delicacy served either as a slider or as a stand-alone (try it over mac and cheese too!). Although there is nothing fishy at all about this recipe, the word sushi is used to describe a medley of flavors and various ingredients all rolled together to create this amazing dish. 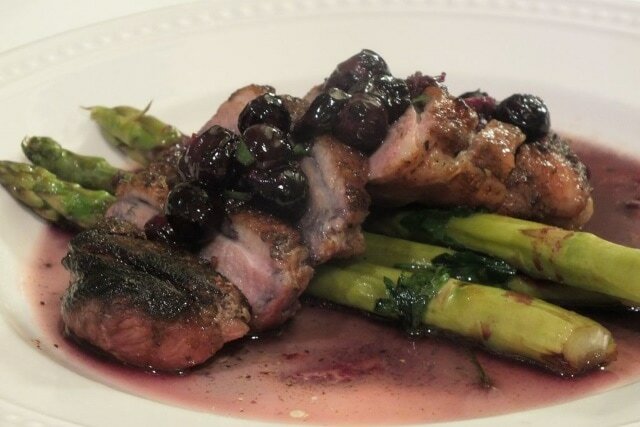 Crisp up your duck over a hot grill and then serve with this rich, decadent, blueberry sauce for a meal that could be mistaken for a dish taken from a top rated restaurant. Rather than use beef, go with a lighter meat and create these Southwestern-inspired burgers with flavors reminiscent of the desert. Smokey chipotle and the heat of jalapeno are sure to make your mouth water. You can make meatballs out of just about any ground meat, especially if you want to grind your own. With some spices and a binder, your meatballs can be grilled quickly and served up as a side, or the main dish. 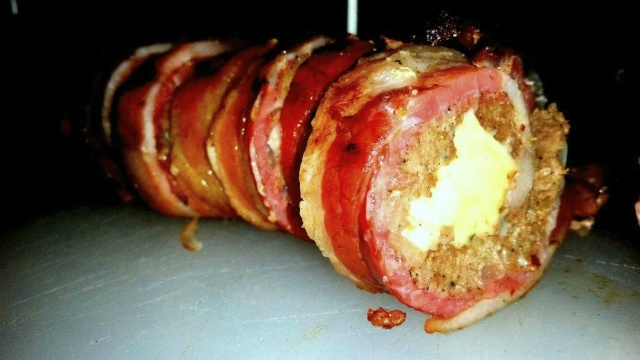 What do you get when you wrap bacon around beef, cheese, and a sliced onion? This amazing appetizer that may just end up being your main meal if you have to go back for seconds and thirds! If dad is insistent on cooking, why not provide him a collection of recipes and the ingredients for him to make his favorites? Just be sure to help with the preparation and the serving, and keep a cold one ready for him whenever he needs it. 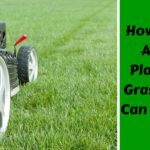 Another helpful hint: have the lawn mowed and any other yard work is taken care of so he can do what he enjoys rather than worry about other responsibilities. 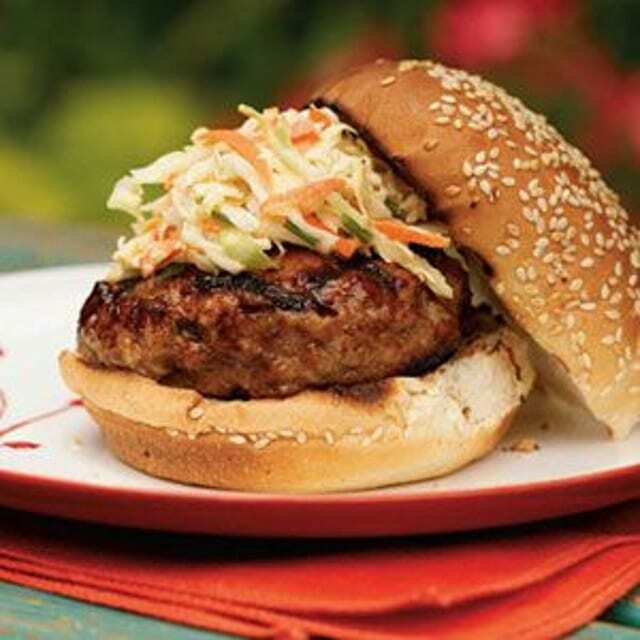 Serve up these ground pork burgers topped with coleslaw to get a mouthful of a Southern favorite influenced by hot, lazy summers. 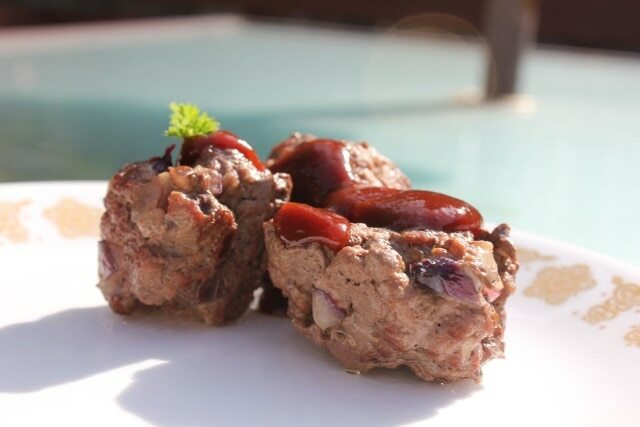 Pork lends a flavorful change to your regular beef burgers, and may soon become your favorite. 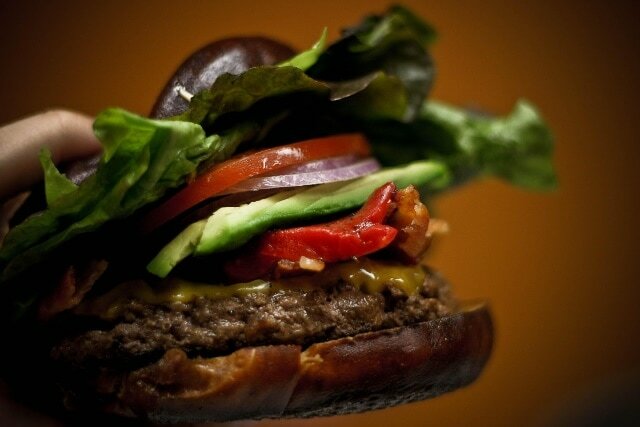 What is more American than a cheese and bacon topped hamburger? 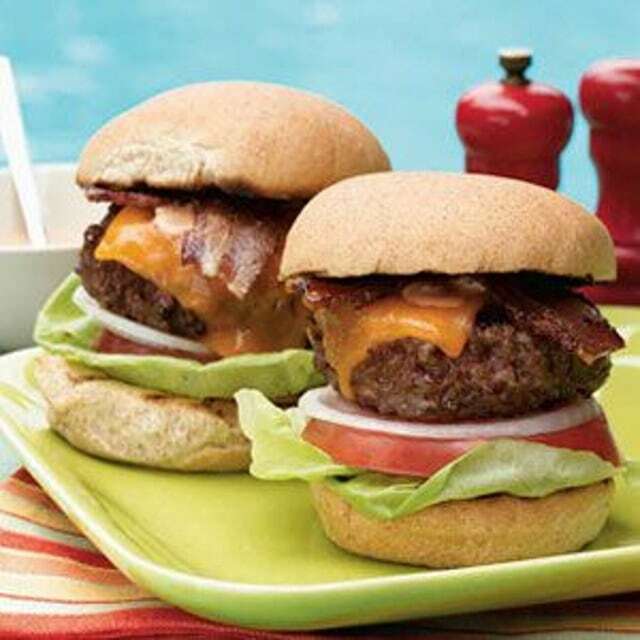 Grill these burgers up infused with spice and flavor, and then add your favorite cheese and crispy bacon for a summertime classic. 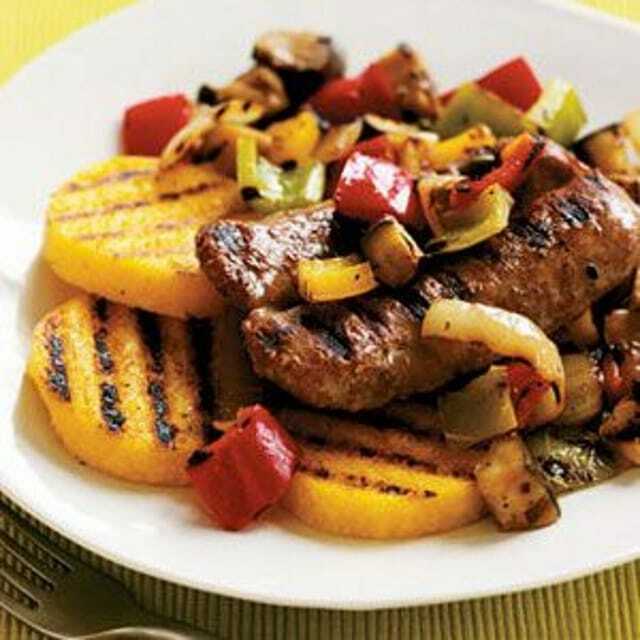 Grilled sausage is a favorite no matter where you live, and these boardwalk inspired sausages when served with grilled veggies and polenta will make your mouth wanting more. 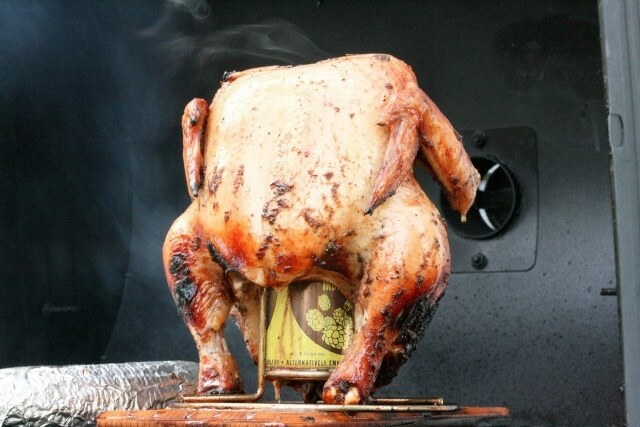 Cooking a chicken over a can of beer keeps it moist and flavorful. There are so many ways you can take advantage of this type of recipe to make it your own, but it will probably become your favorite way to cook chicken from here on out. Everyone has their own way of making burgers, but if you find your burgers lacking flavor, or simply want to try something new, try out this flavor-infused recipe that calls for a variety of summer-inspired ingredients. 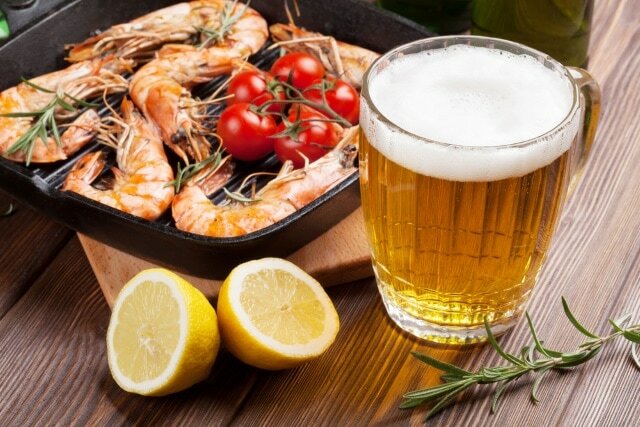 Beer is an excellent way to bring flavor and moisture to your meats. 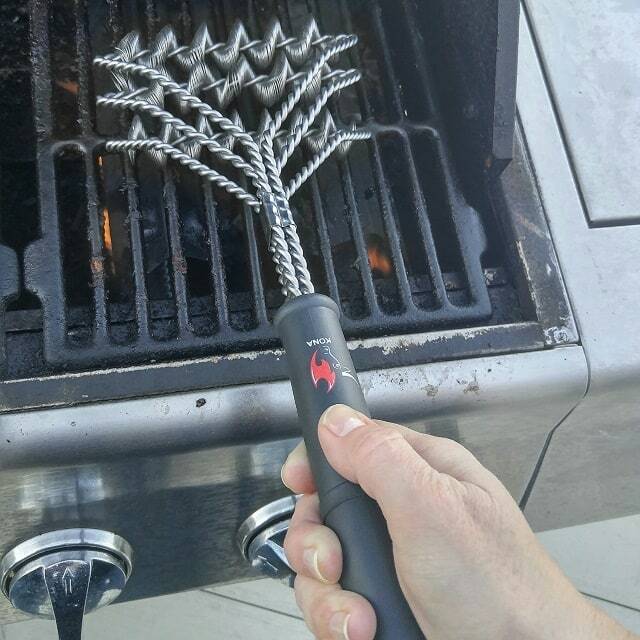 The alcohol helps tenderize, plus it helps hold flavor well to create juicy grilled masterpieces. This simple recipe is sure to become a family favorite. No frills, just plain common sense, and simple seasoning create a perfect steak in no time. It is a classic worth keeping. Lobster tails pair perfectly with crab and shrimp, as well as other finely chopped and diced ingredients. Simply stuff your lobster and grill it all up to serve as a main dish or alongside another favored staple. The trick to this chicken is in how you prepare it. 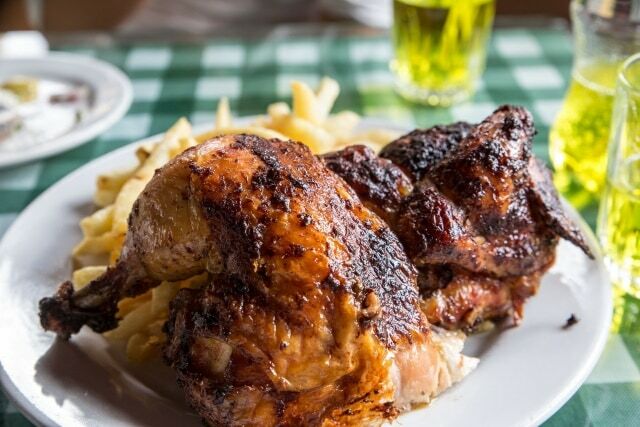 The mix of ingredients hail from South America and create a tender, juicy chicken you can cook with a rotisserie over the grill for the perfect blend of slow-cooked flavors. Start these short ribs in a dutch oven and finish over an open flame for a delicacy both at home and when camping. 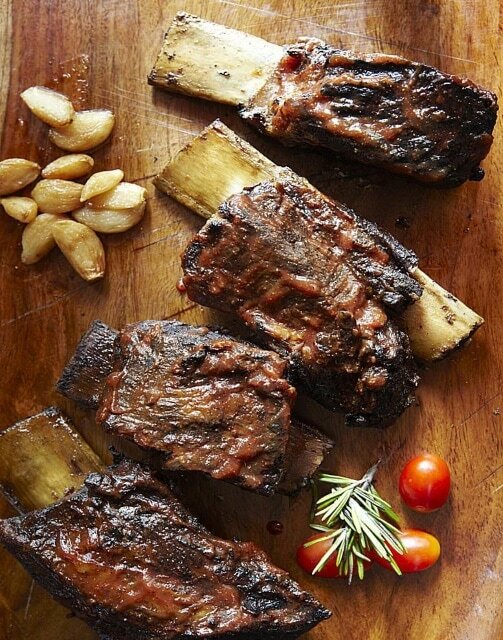 Short ribs are often overlooked, but shouldn’t be- especially with a recipe such as this! This was quite a list of both gifting ideas and recipes you, and your favorite grilling dad can try out at home. Hopefully, we’ve inspired a few of you to help make a father’s day worth remembering- or at the very least, provided a healthy list of awesome culinary treats to try out all summer! If you have anything you want to add or questions, please let us know below. And, as always, please share!